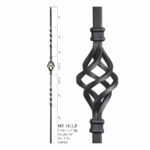 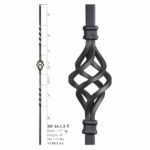 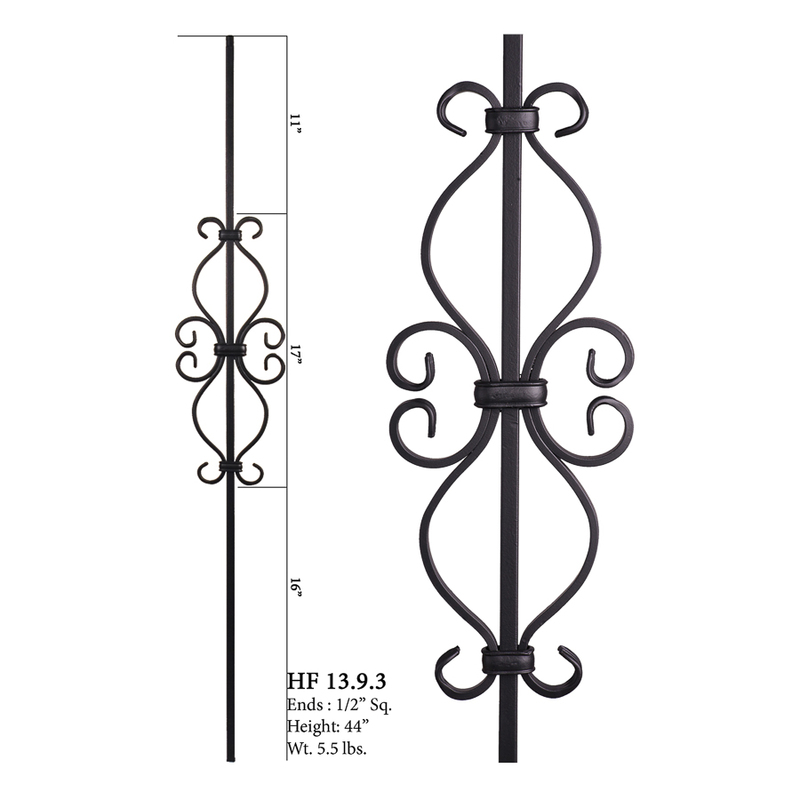 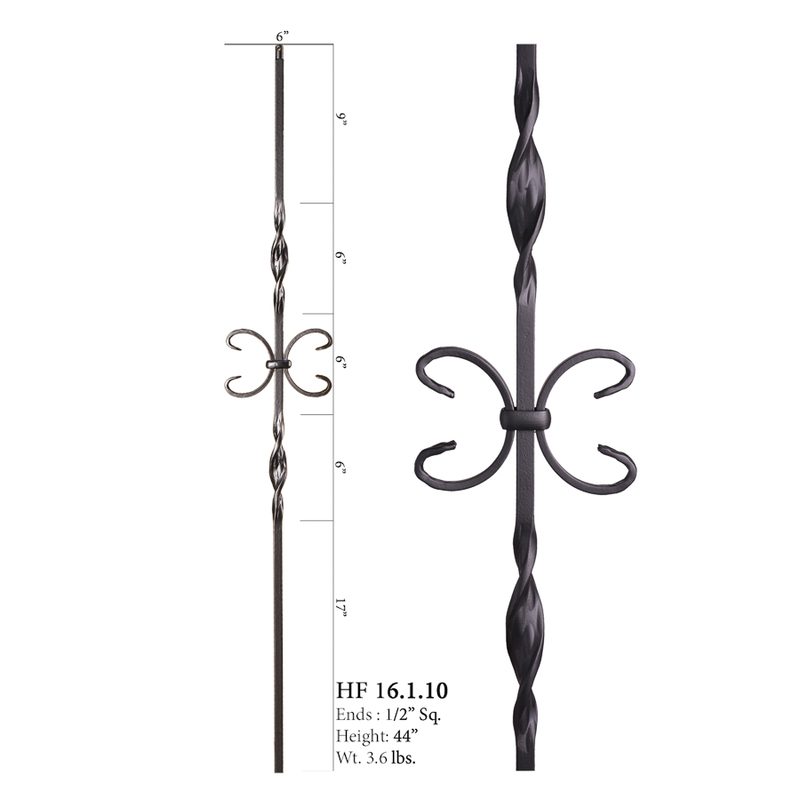 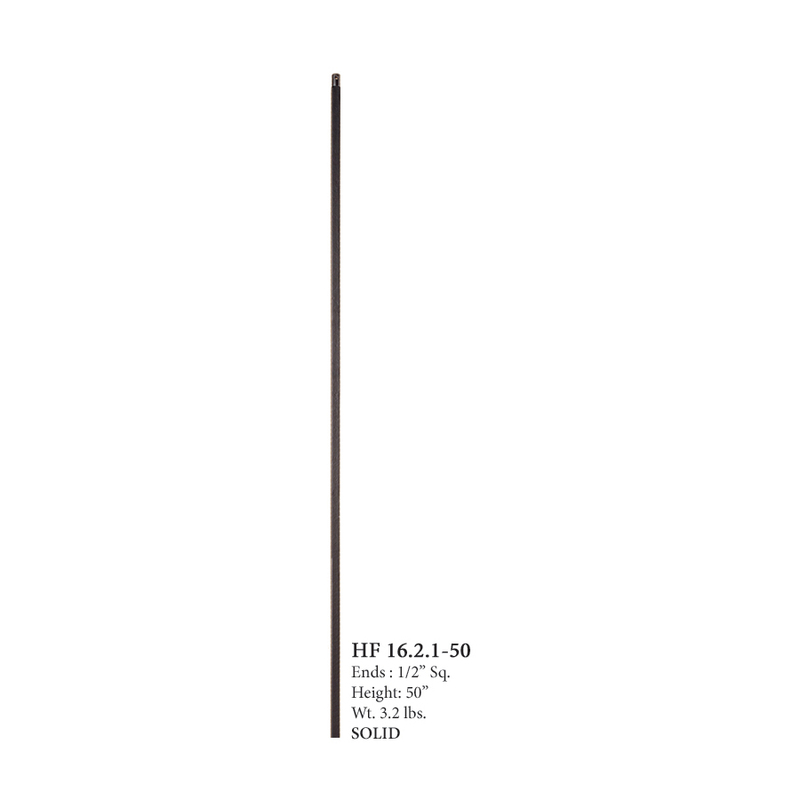 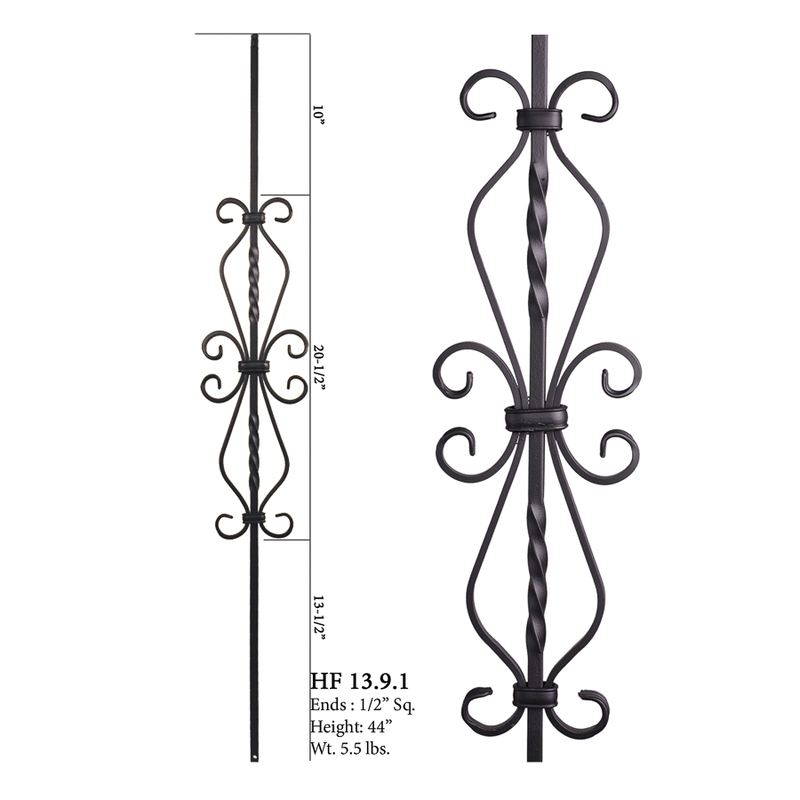 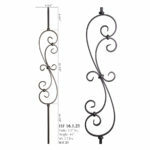 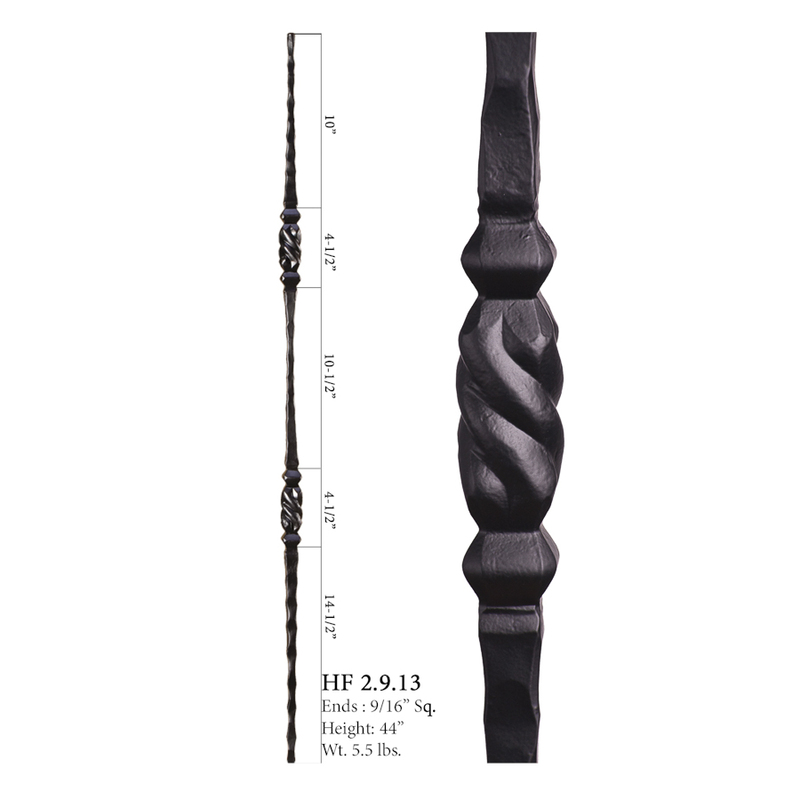 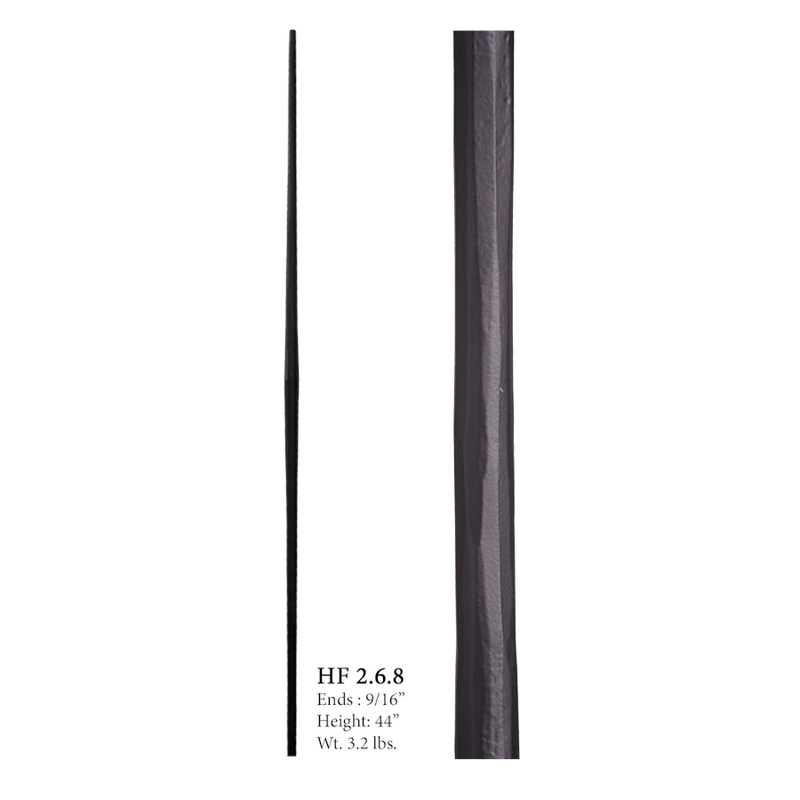 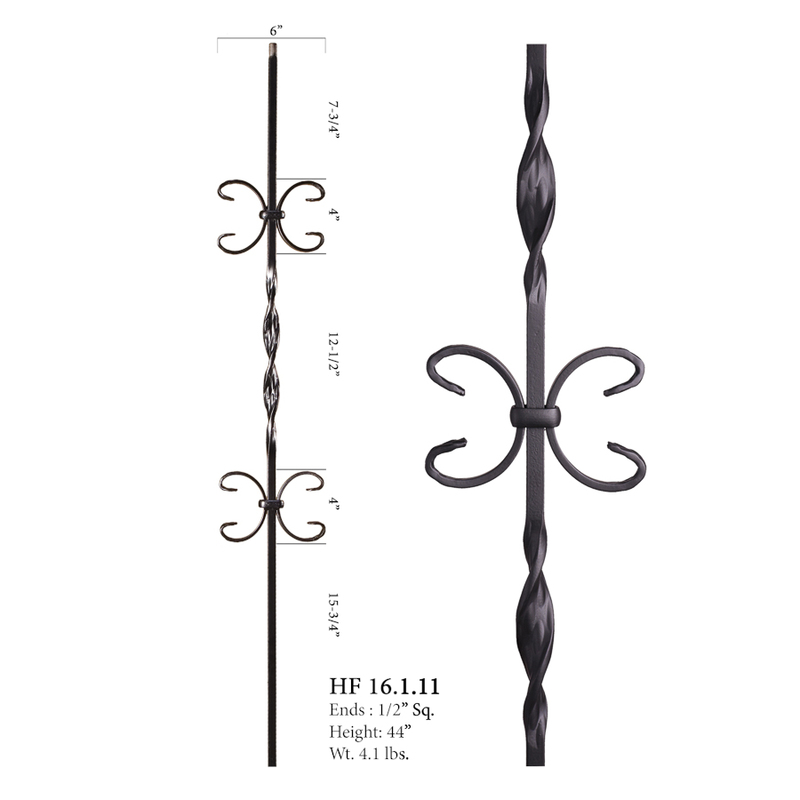 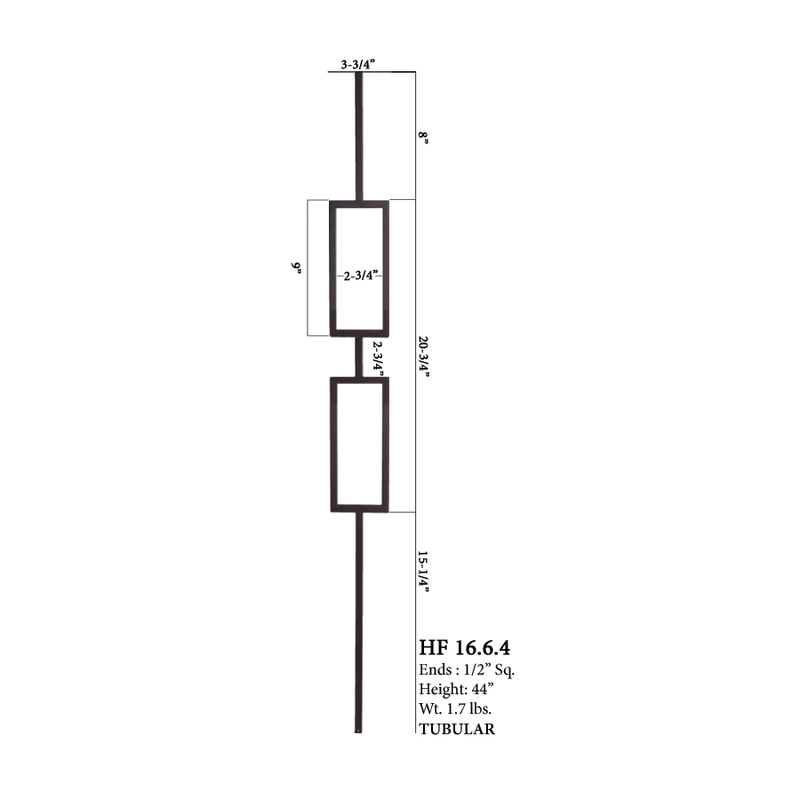 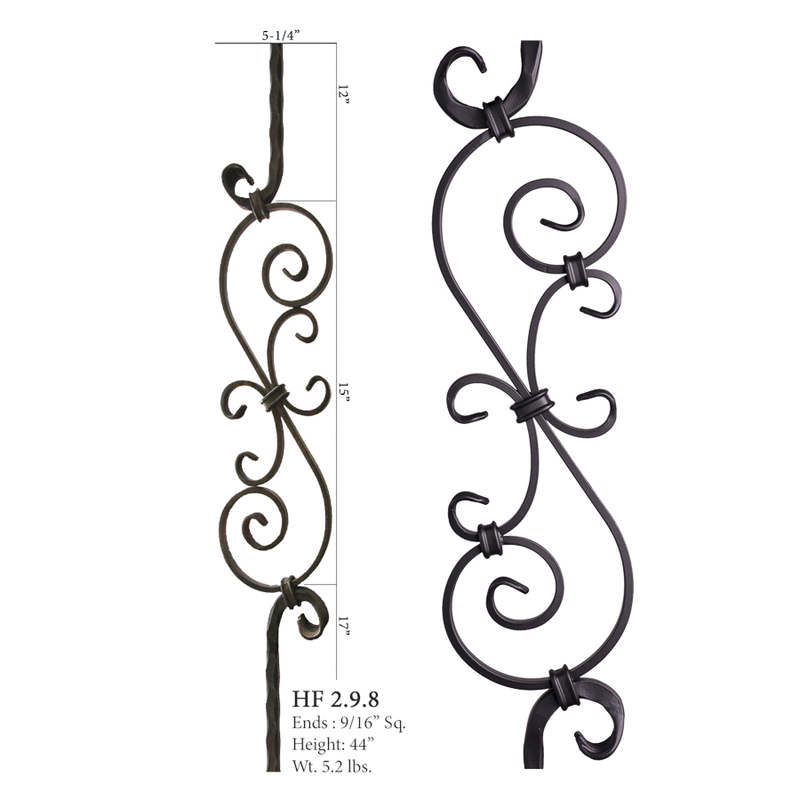 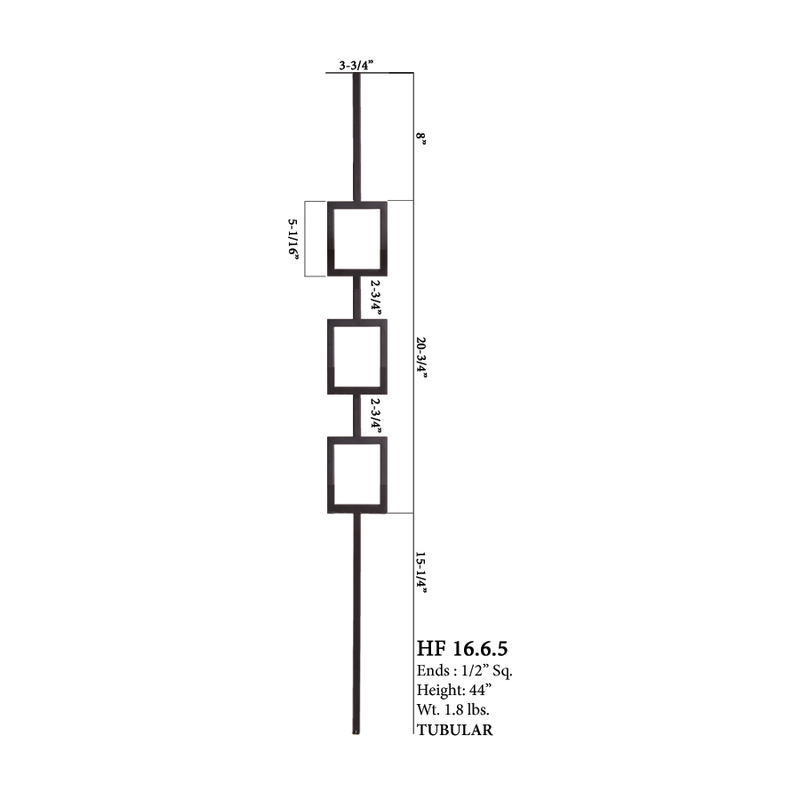 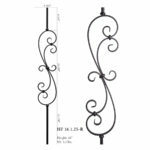 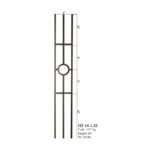 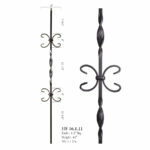 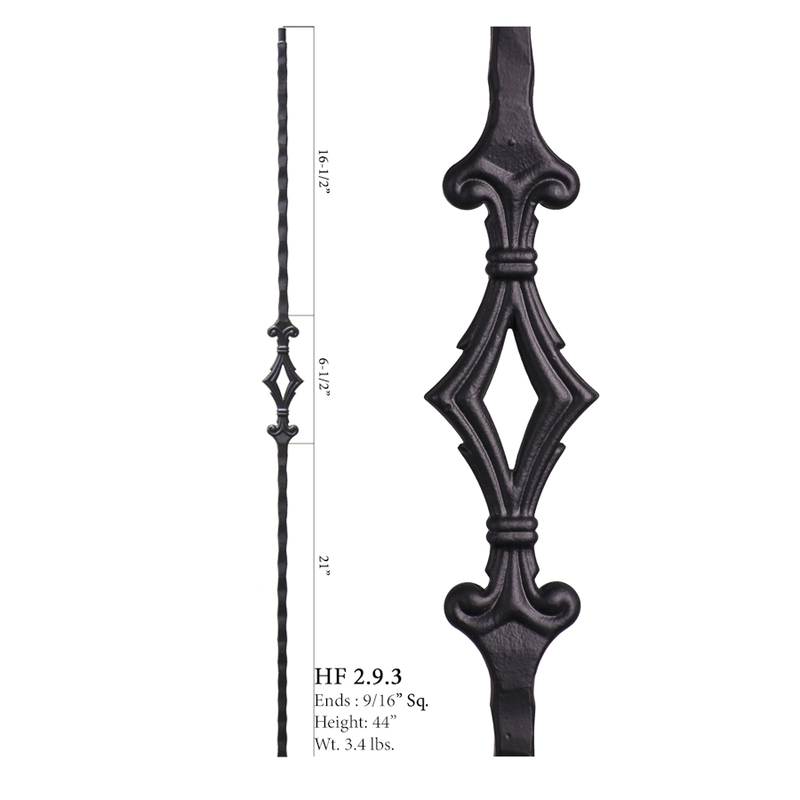 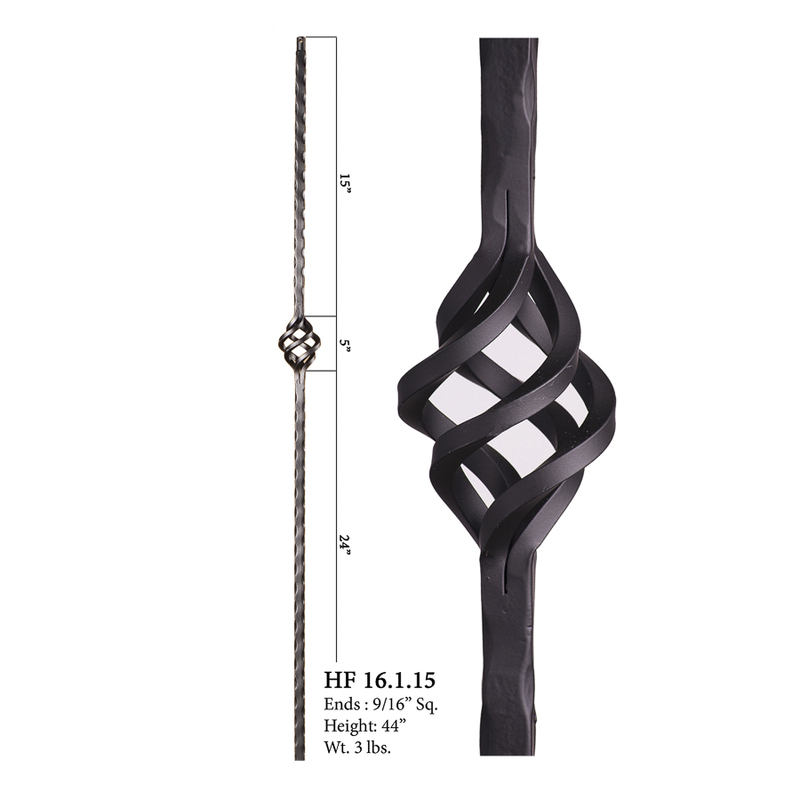 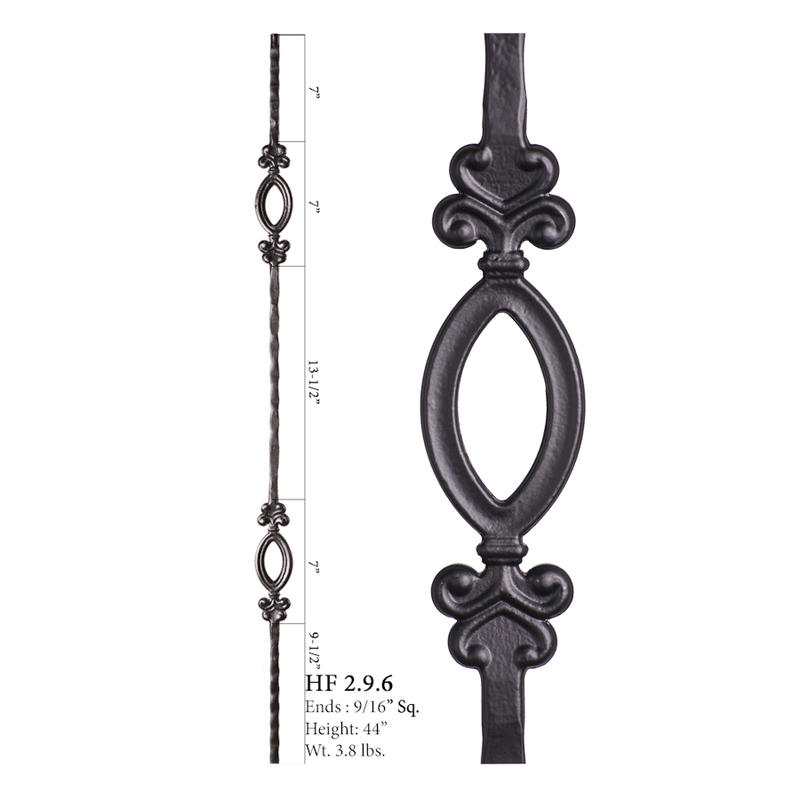 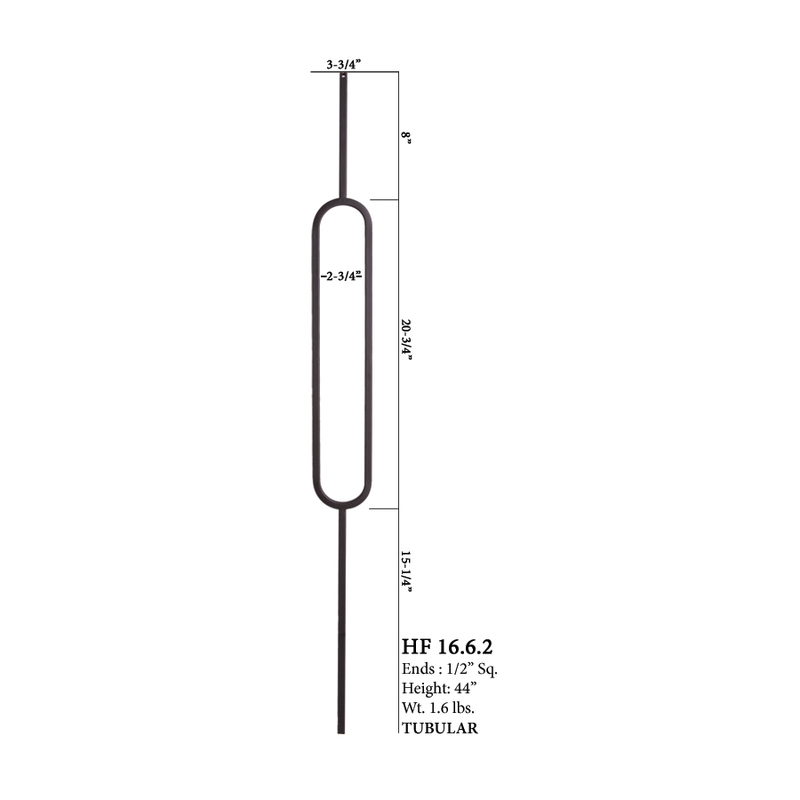 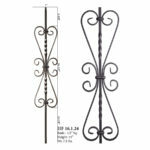 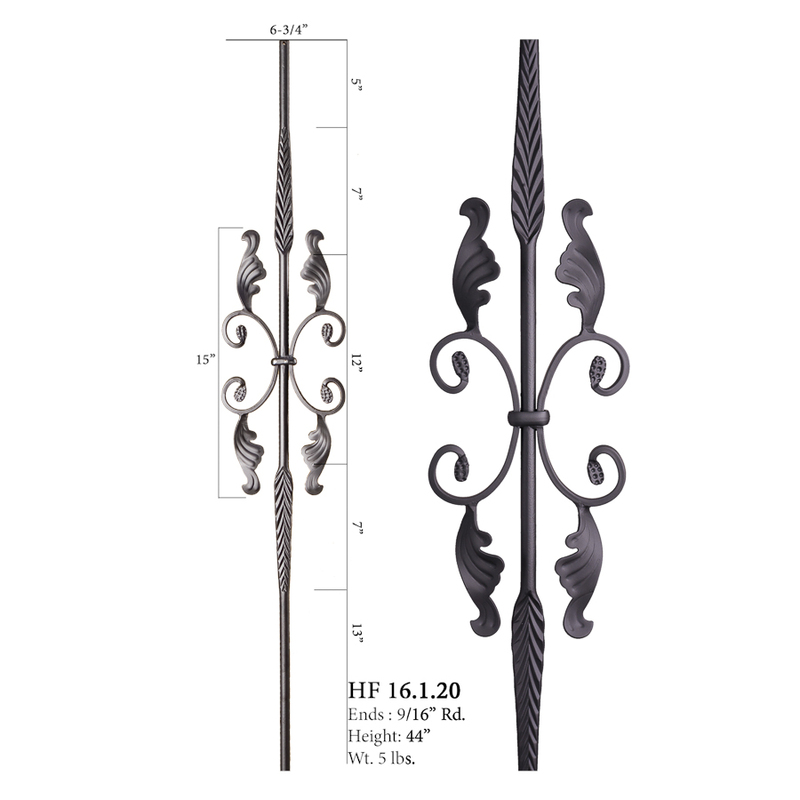 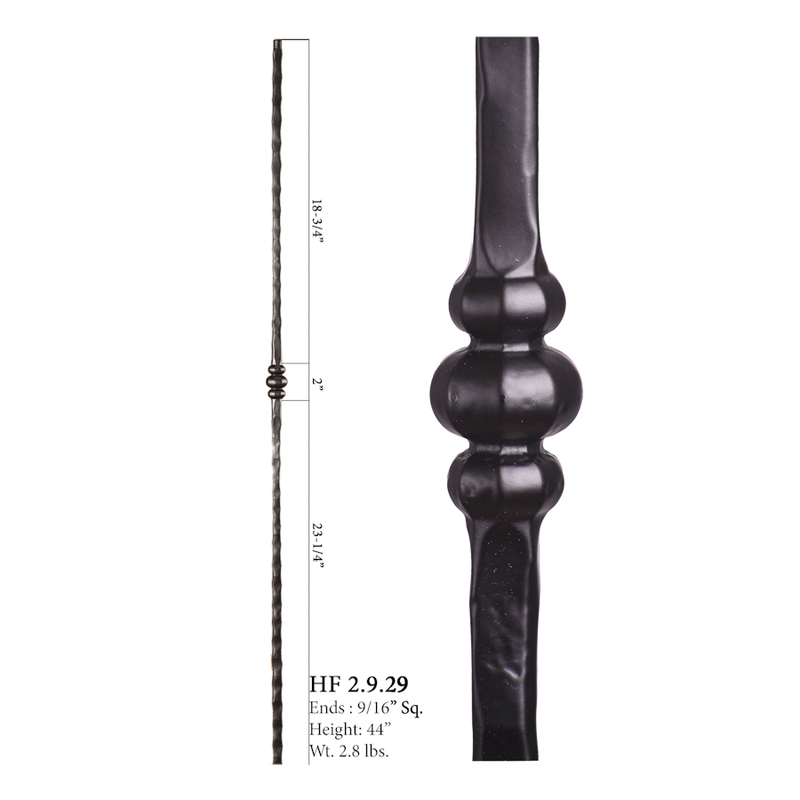 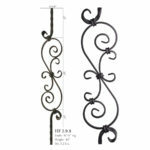 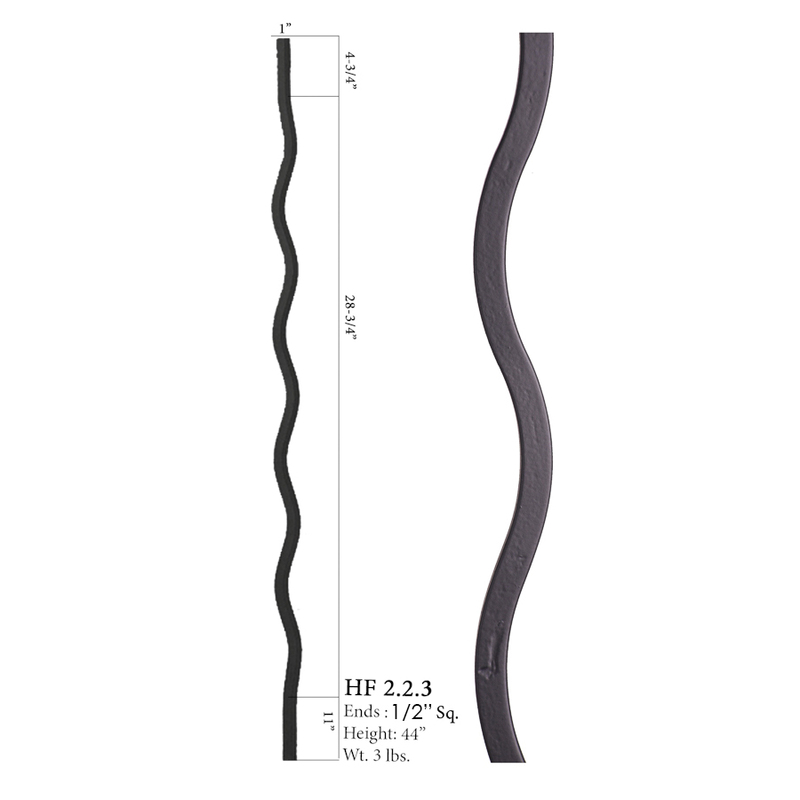 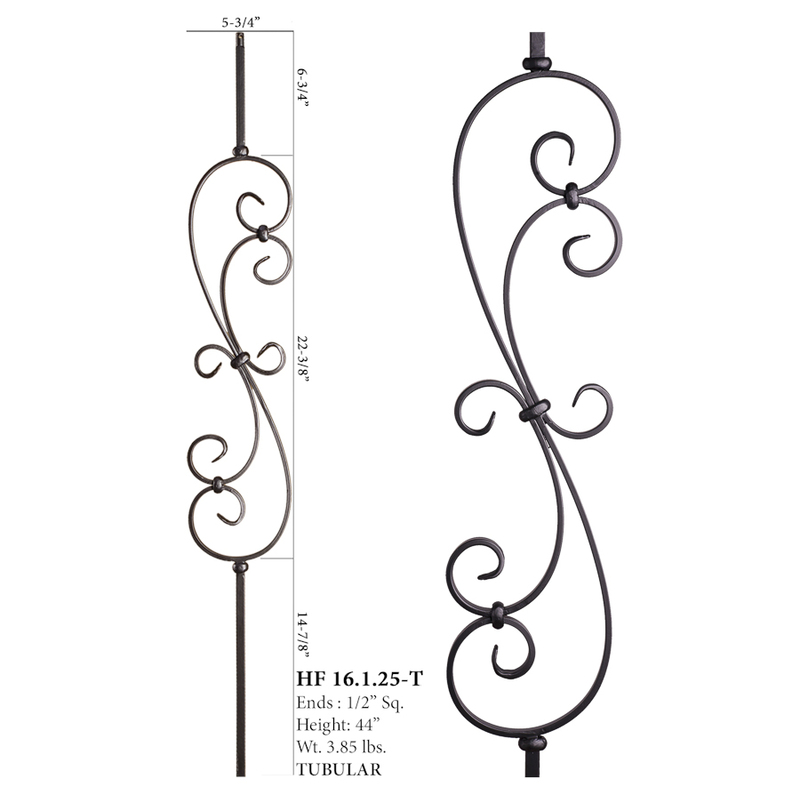 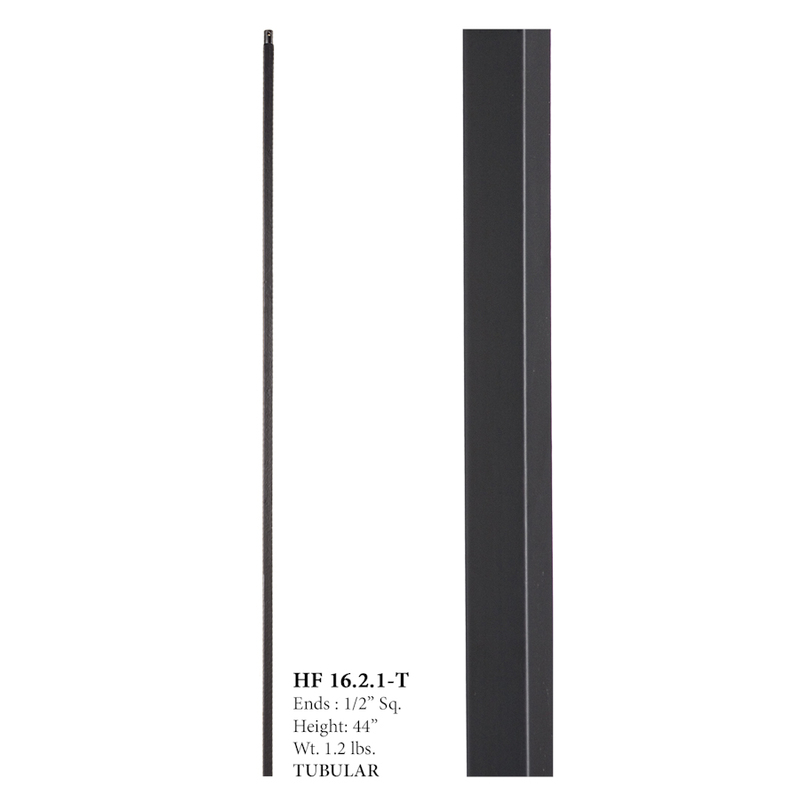 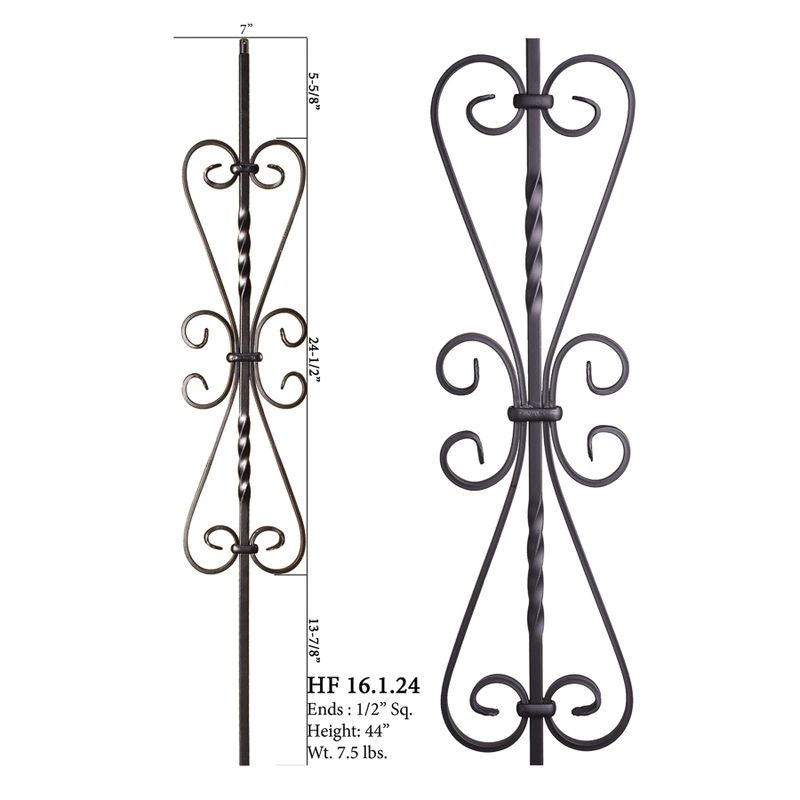 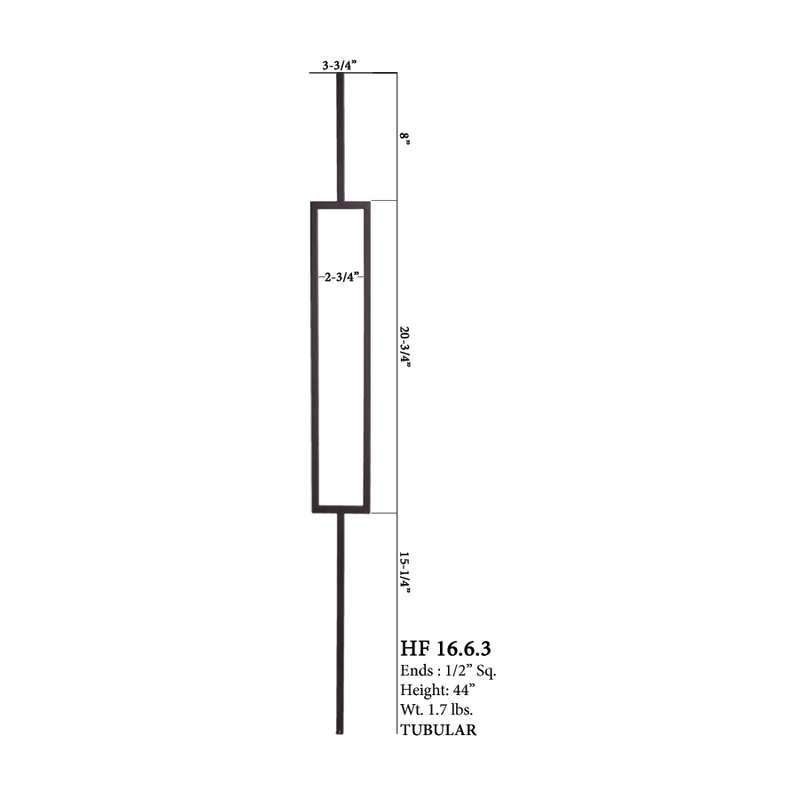 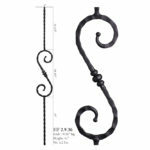 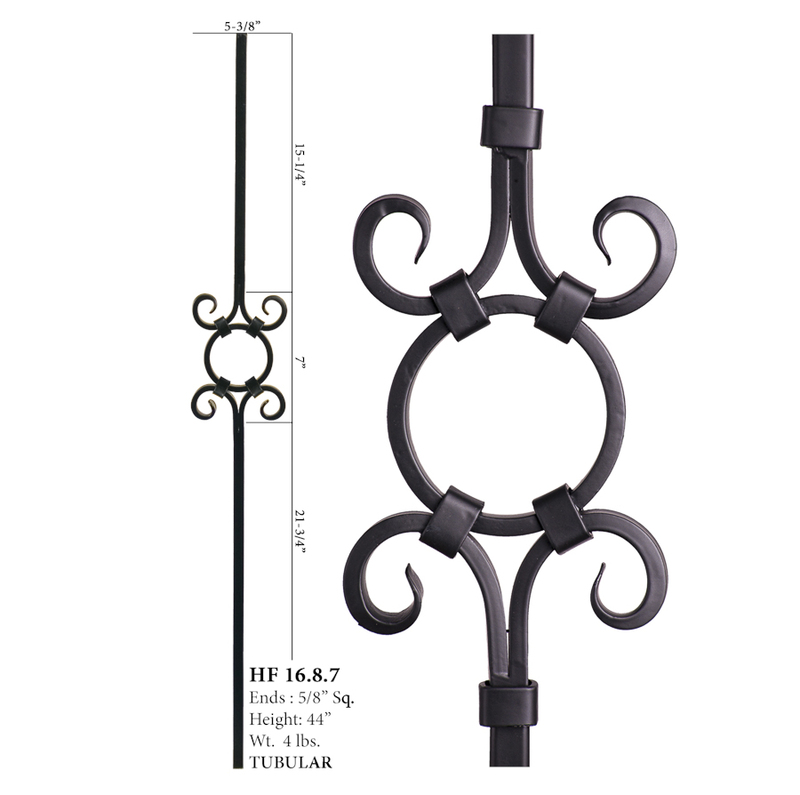 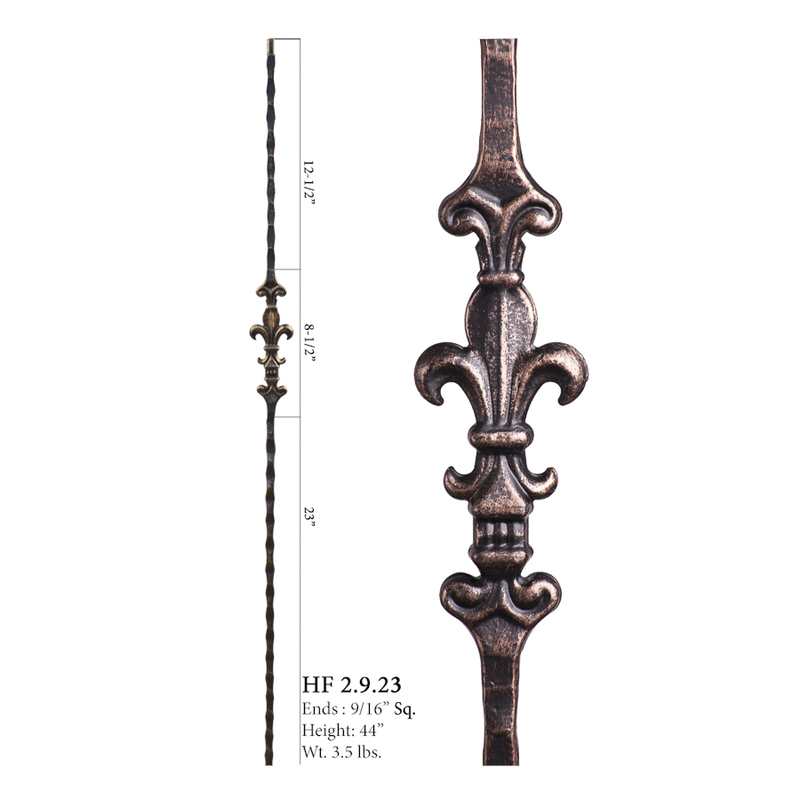 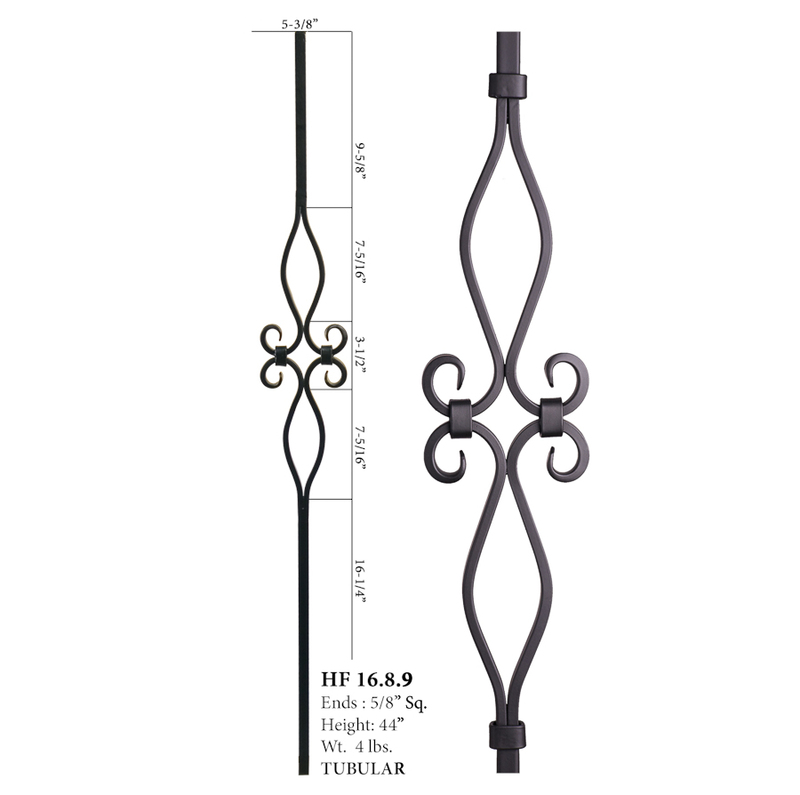 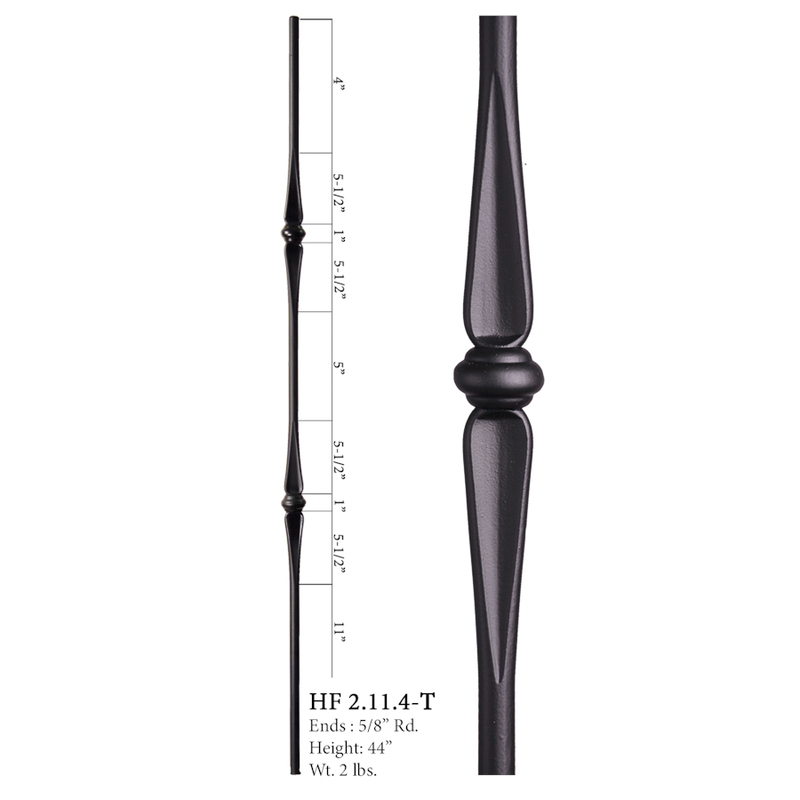 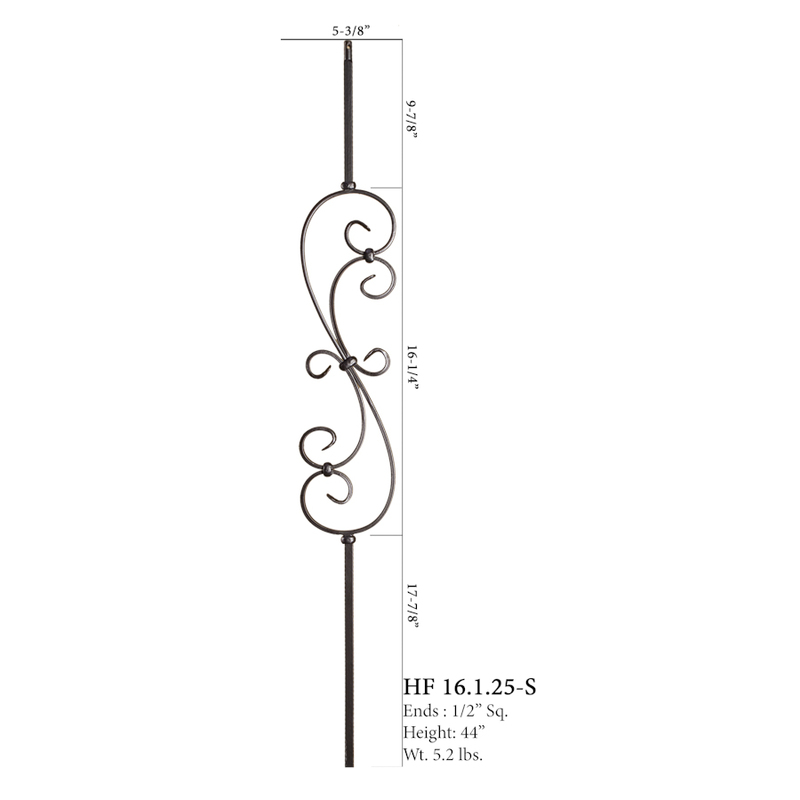 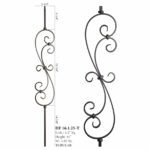 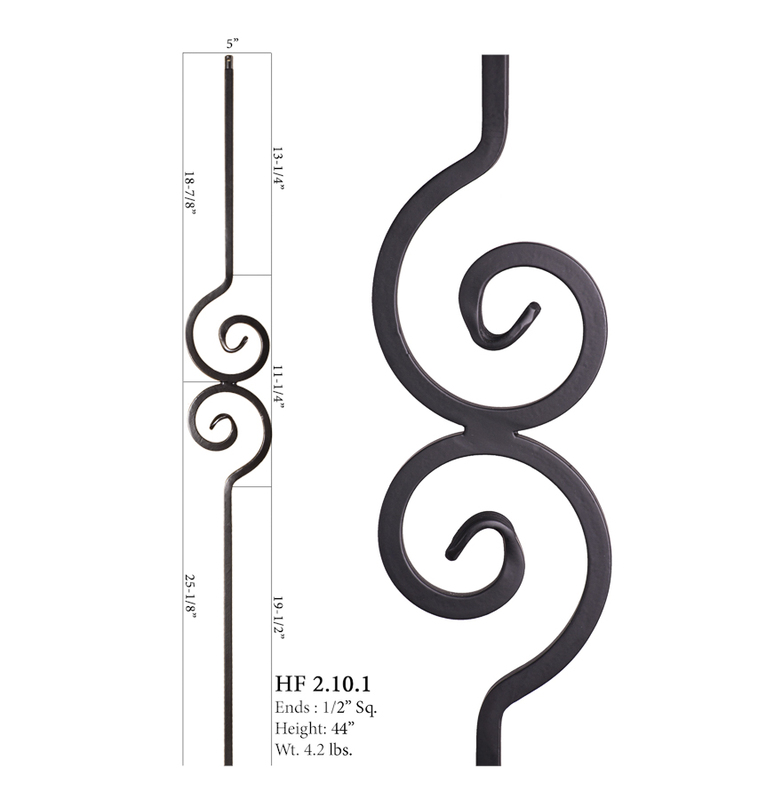 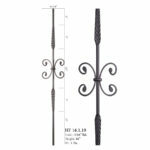 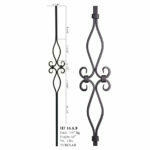 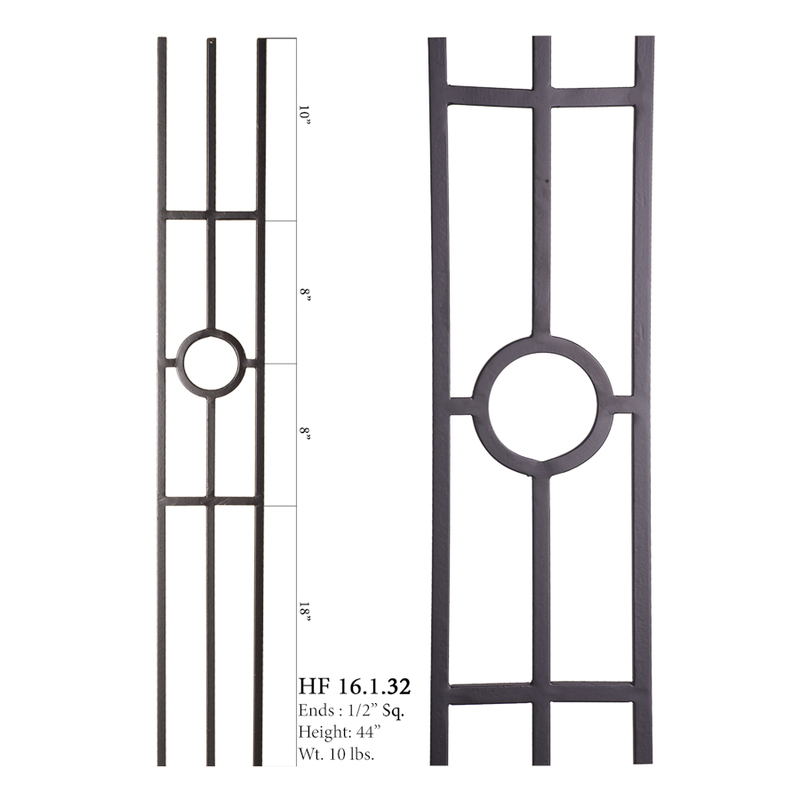 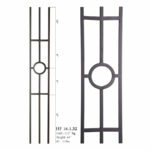 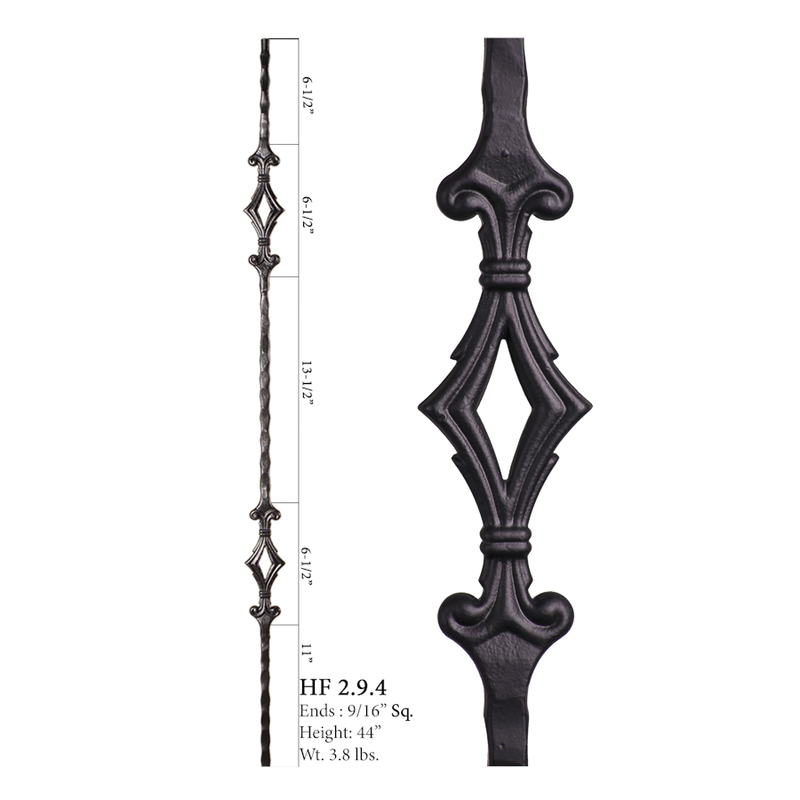 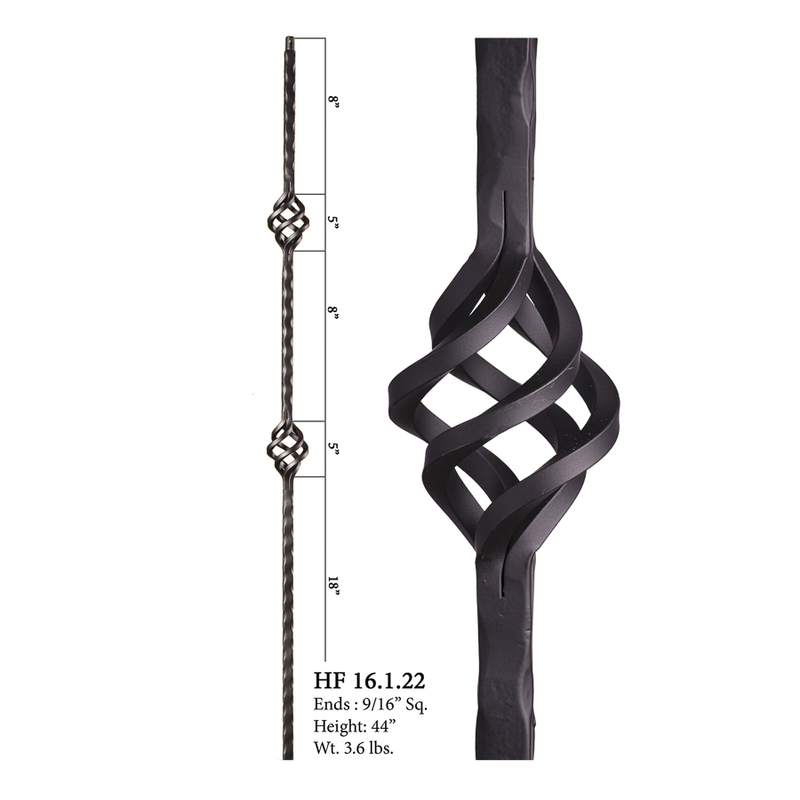 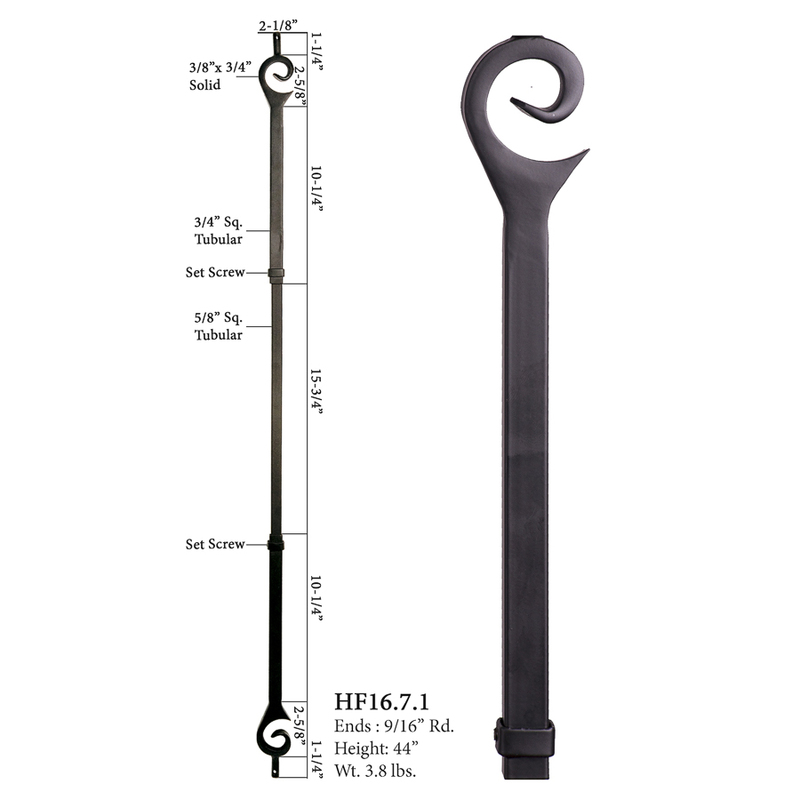 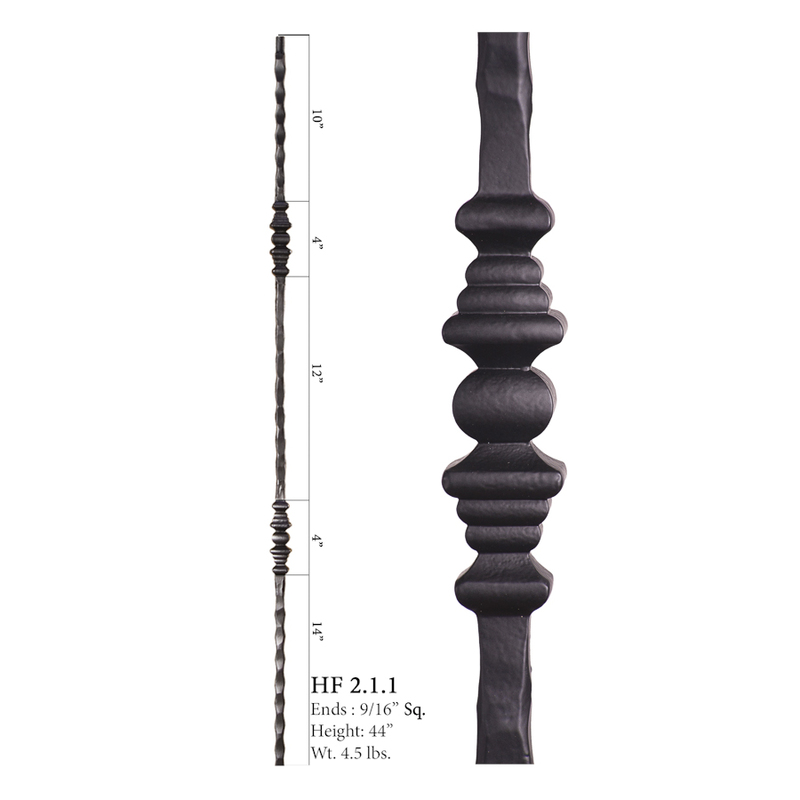 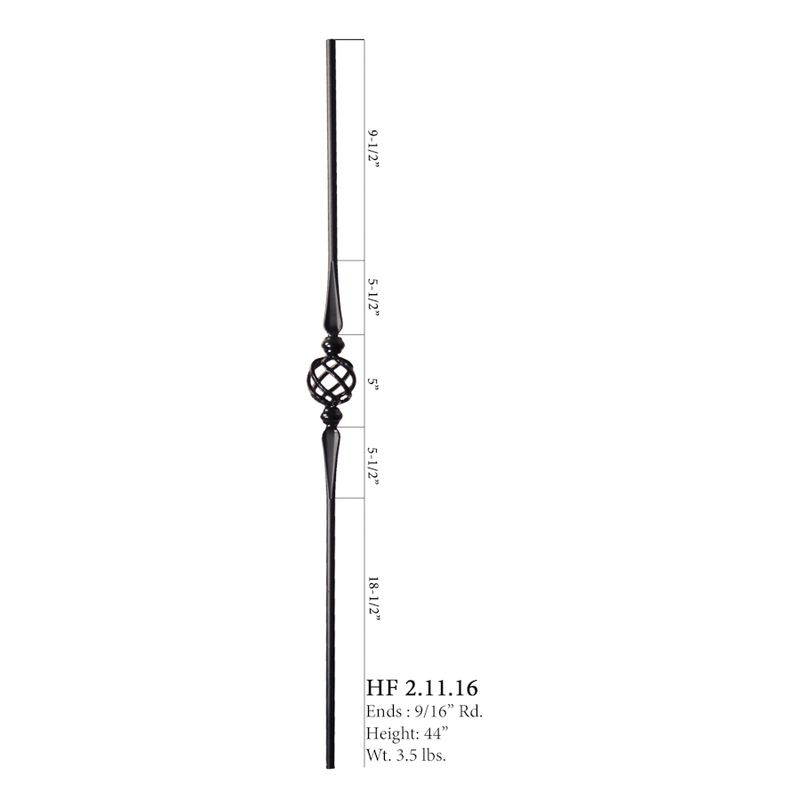 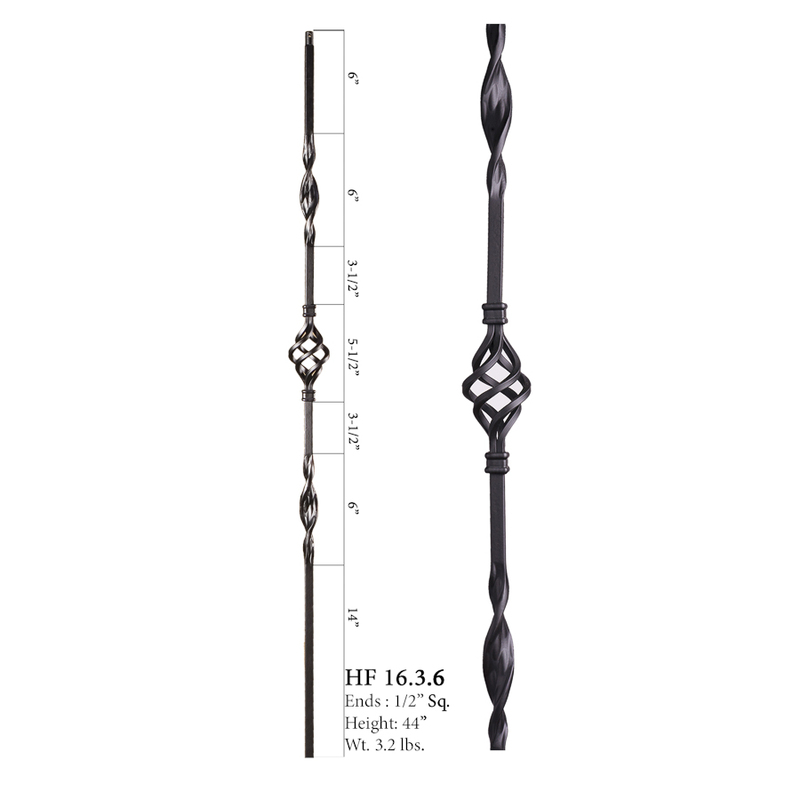 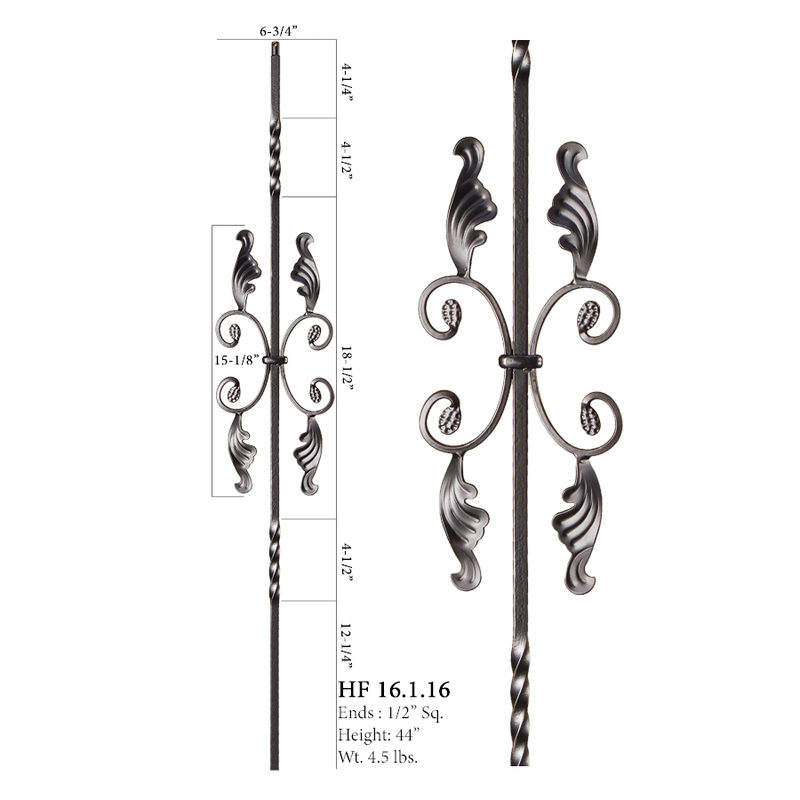 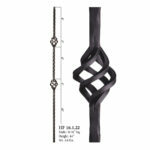 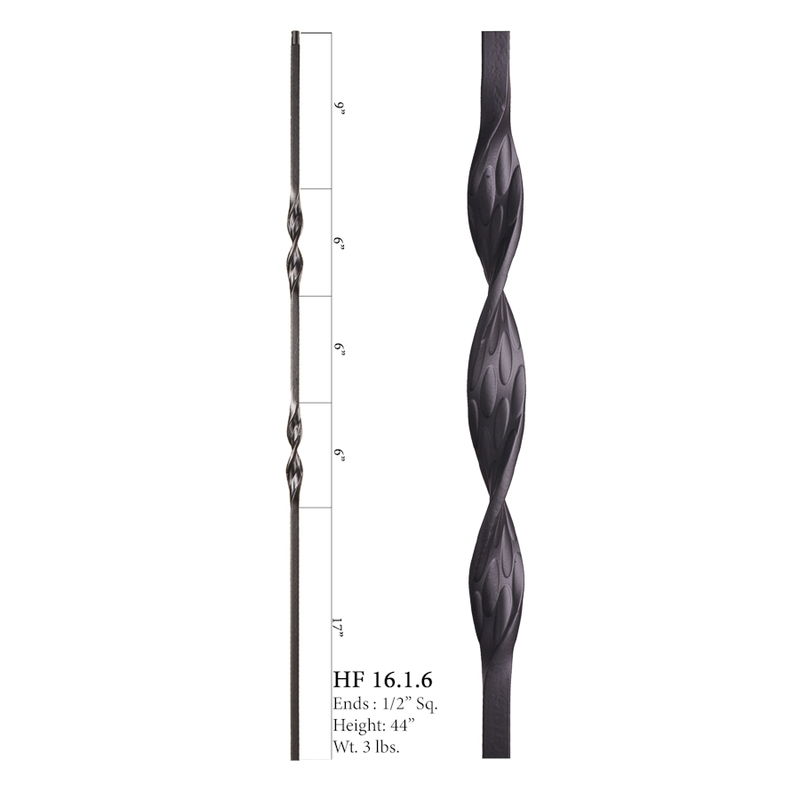 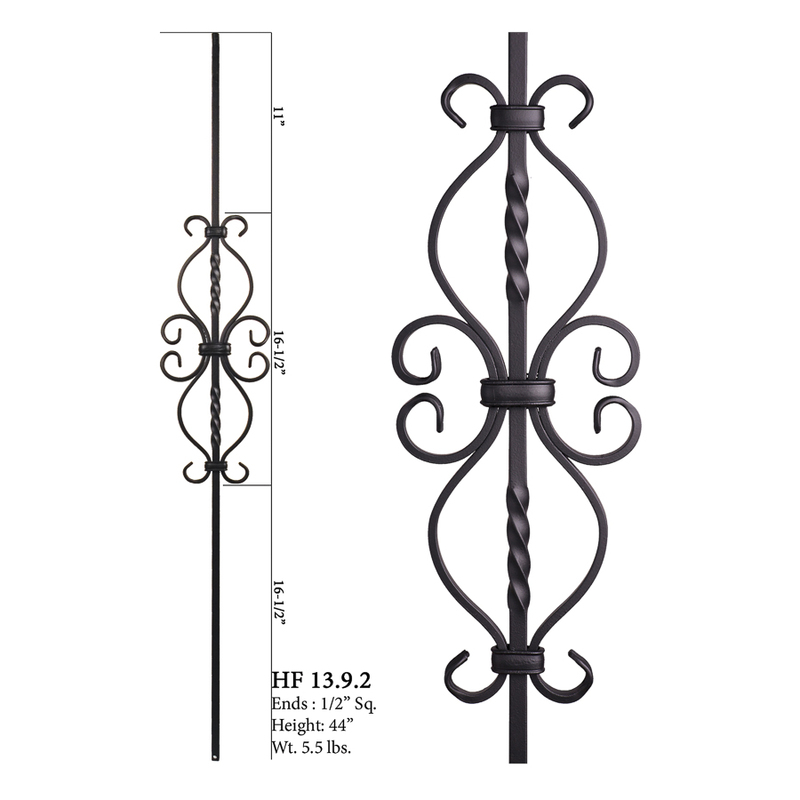 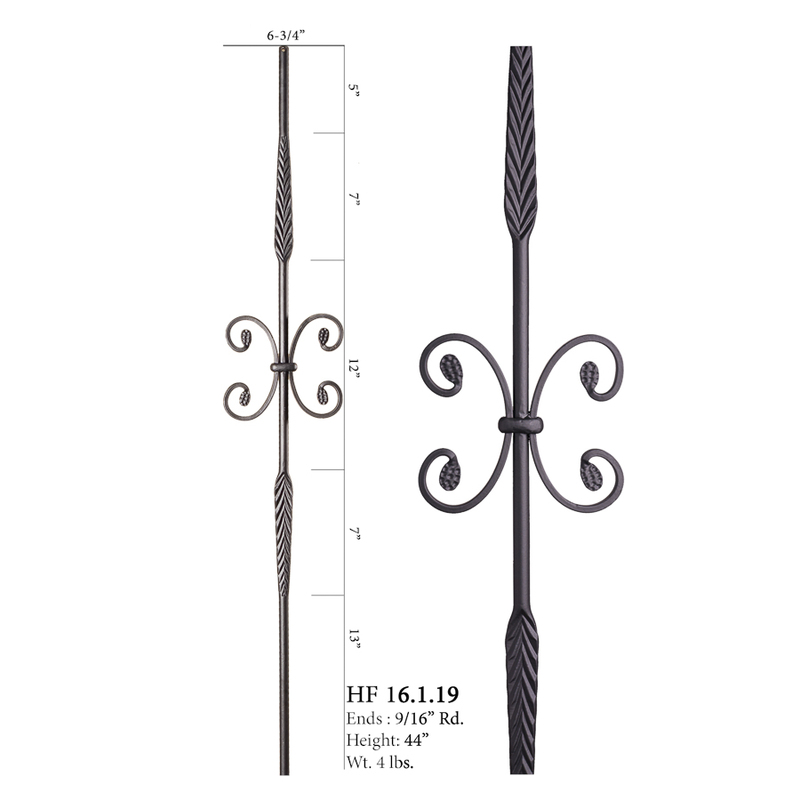 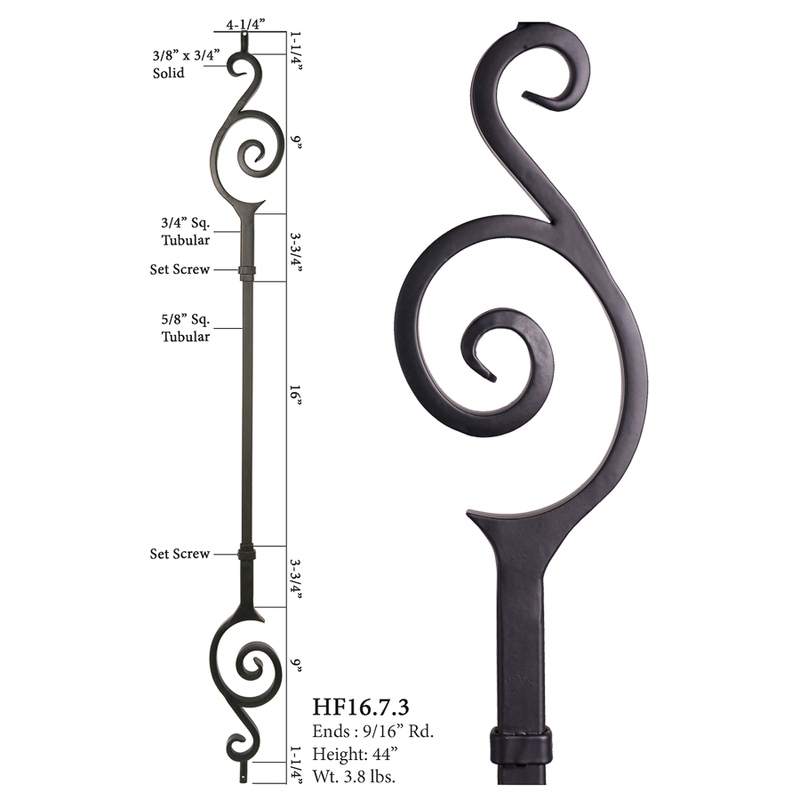 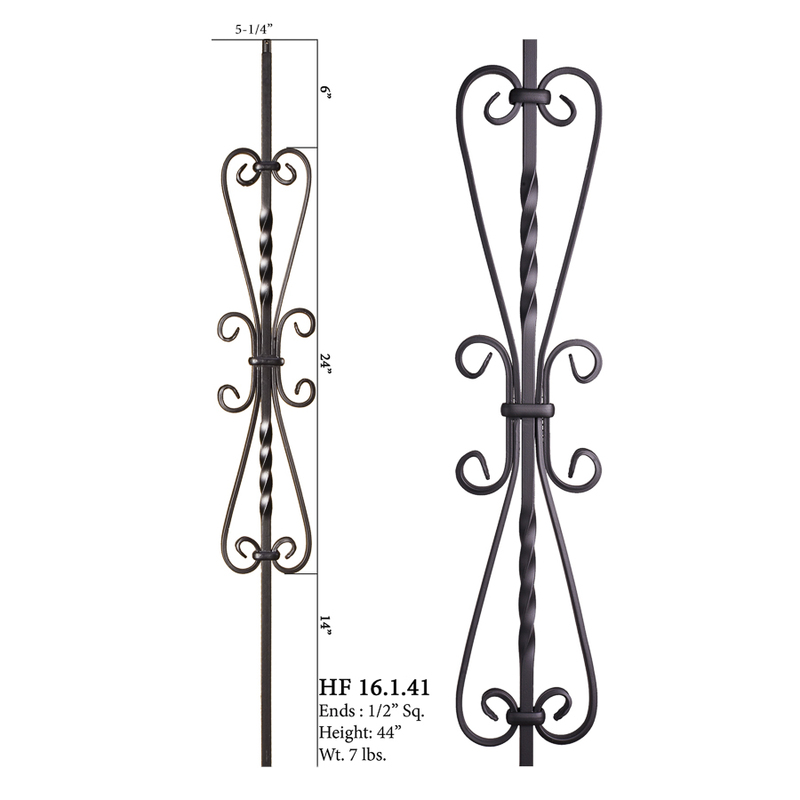 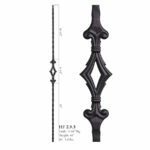 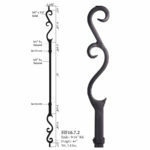 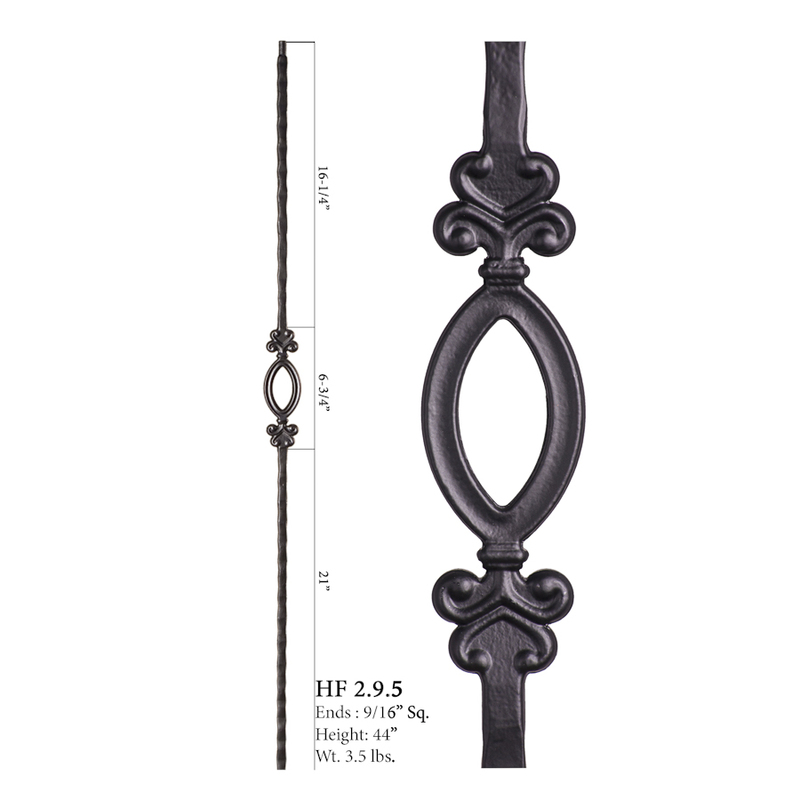 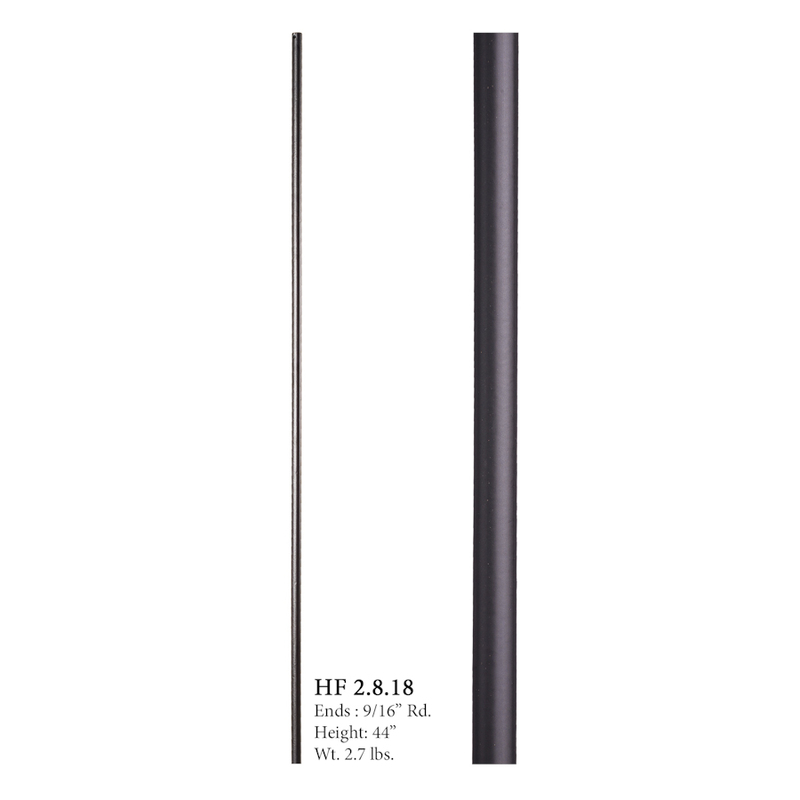 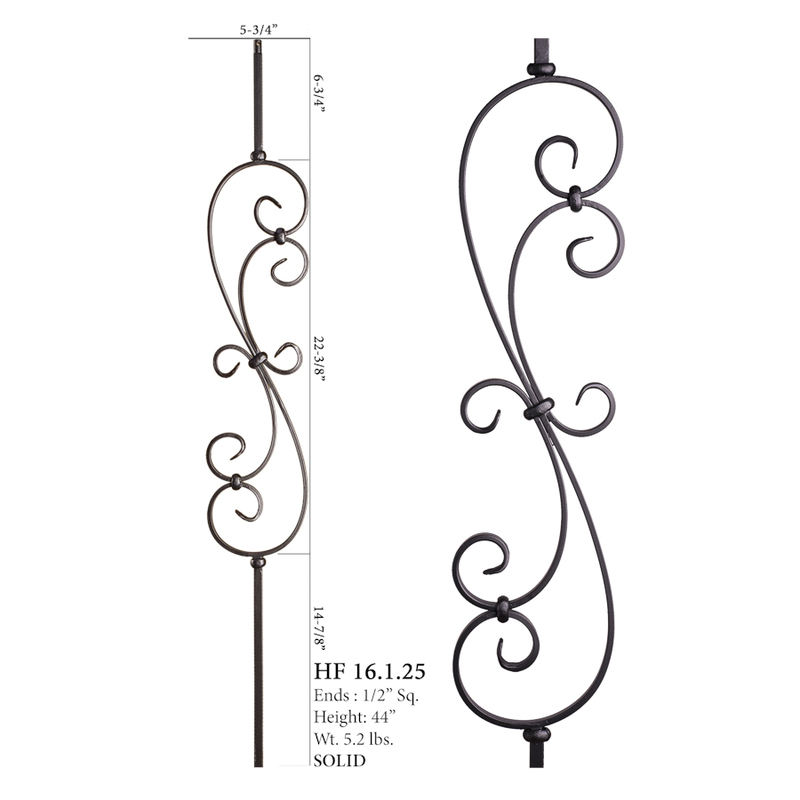 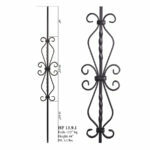 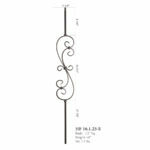 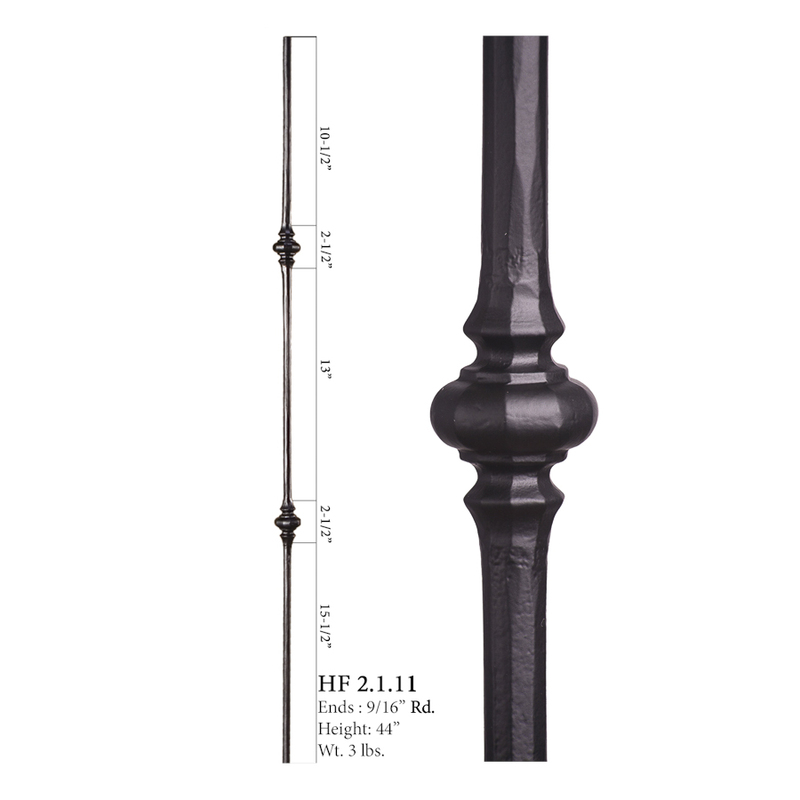 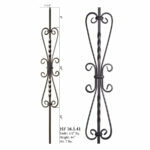 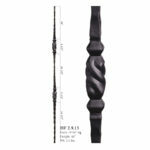 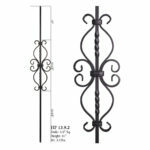 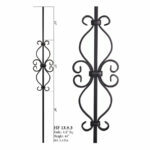 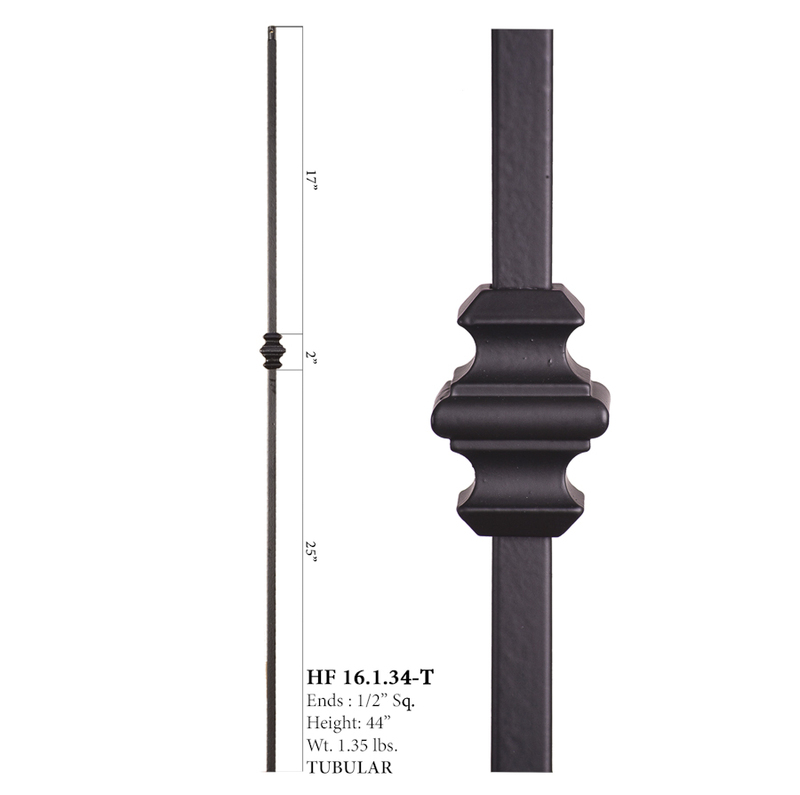 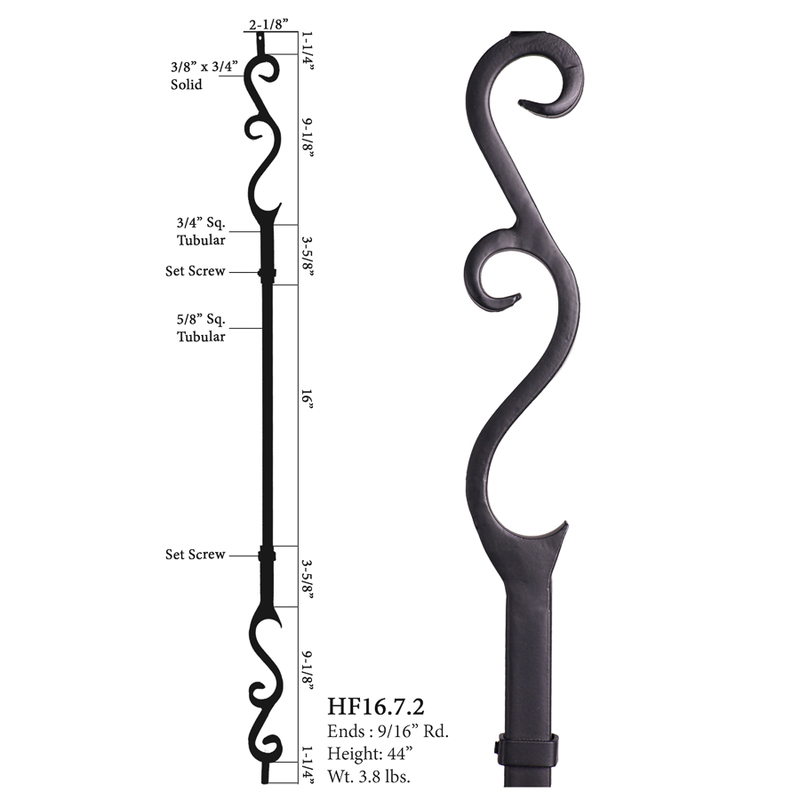 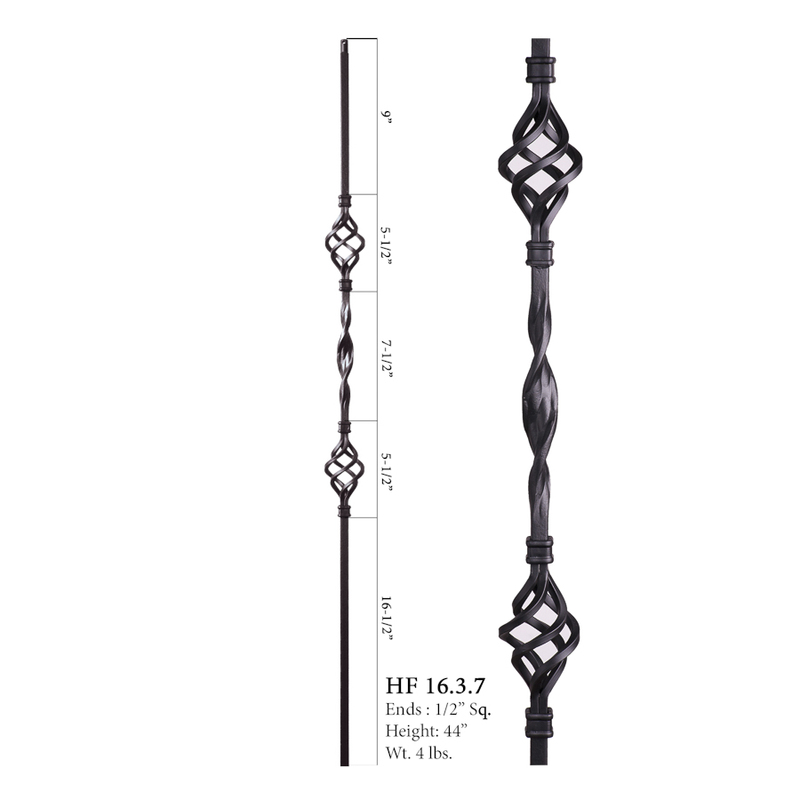 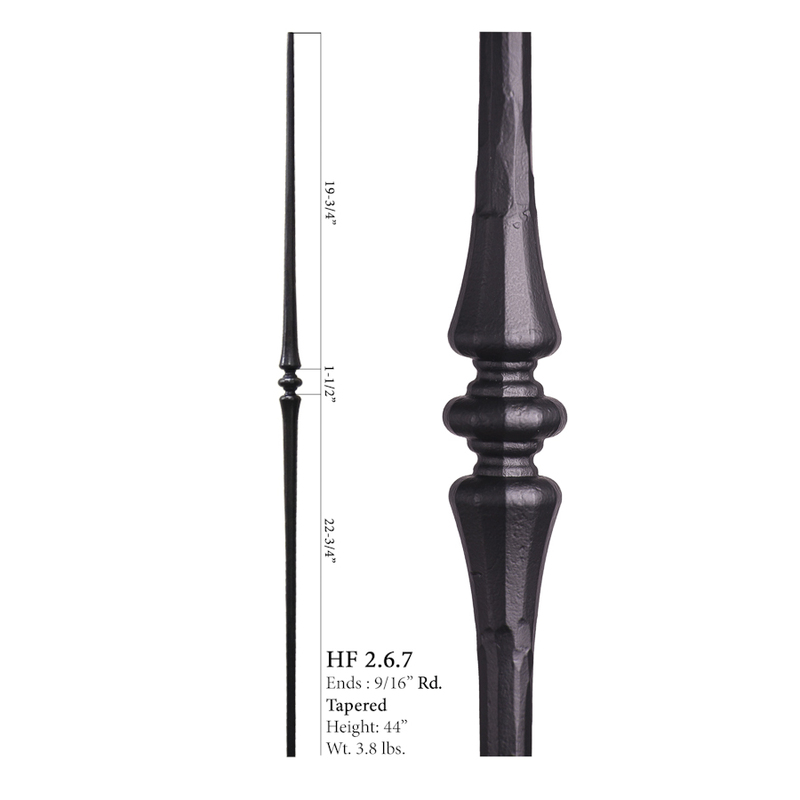 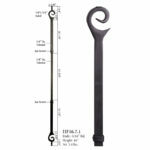 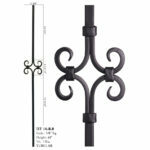 We only sell House of Forgings brand Iron Balusters because they offer the most unique styles, most beautiful finishes and highest quality standards in the USA. 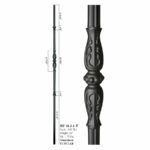 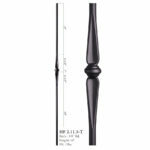 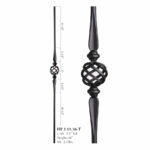 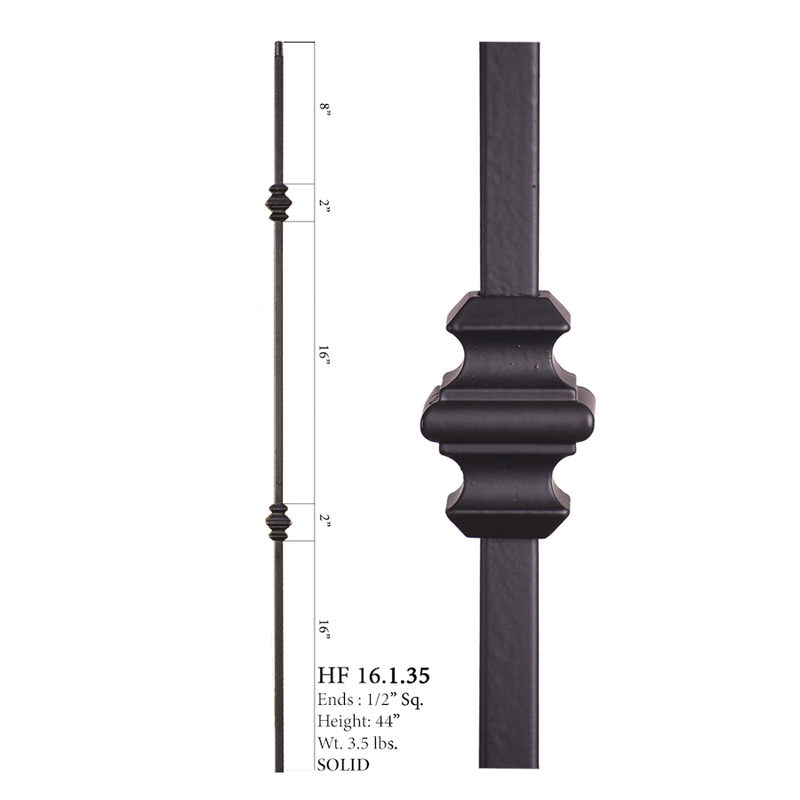 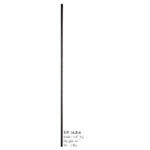 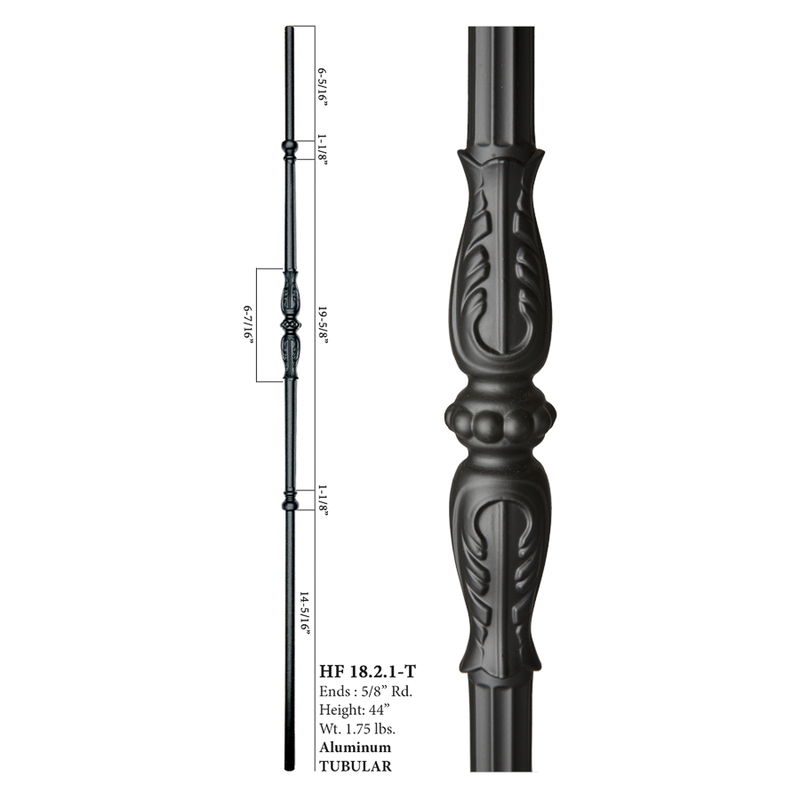 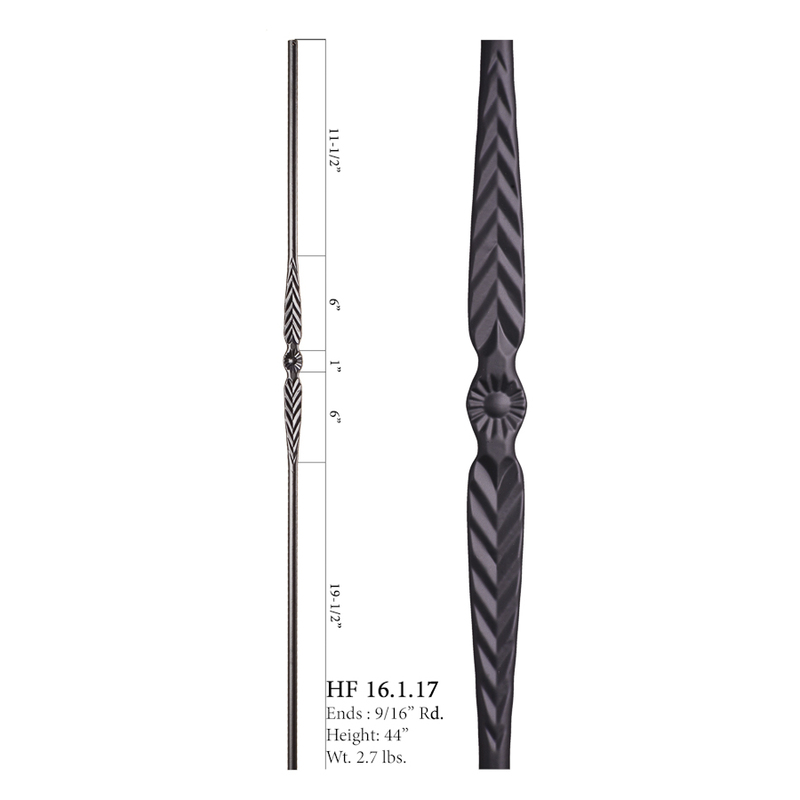 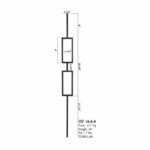 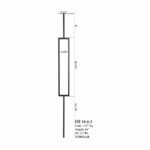 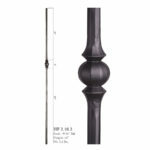 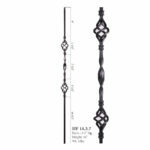 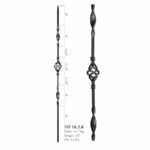 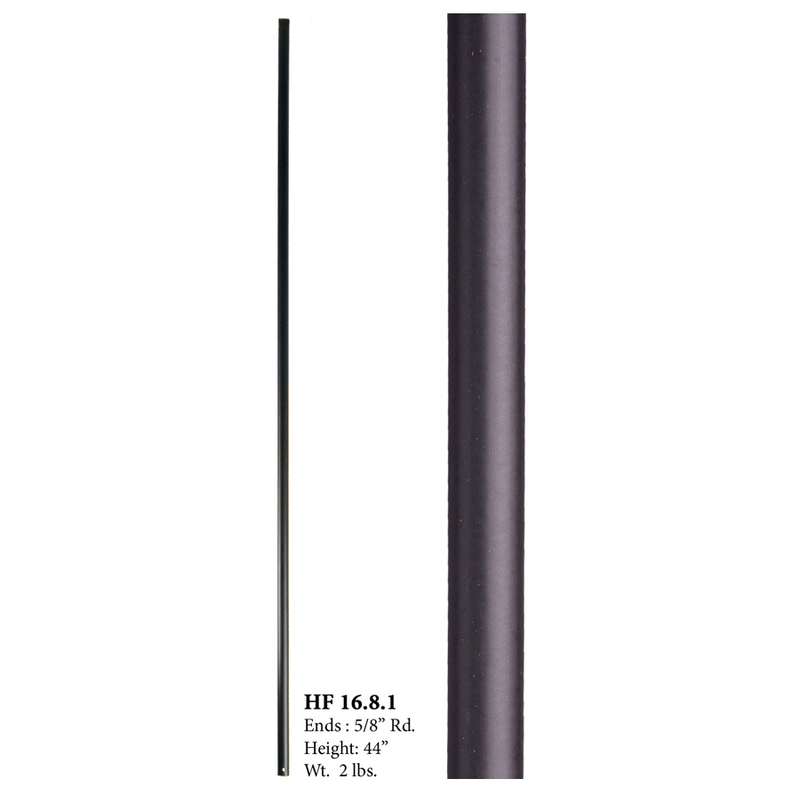 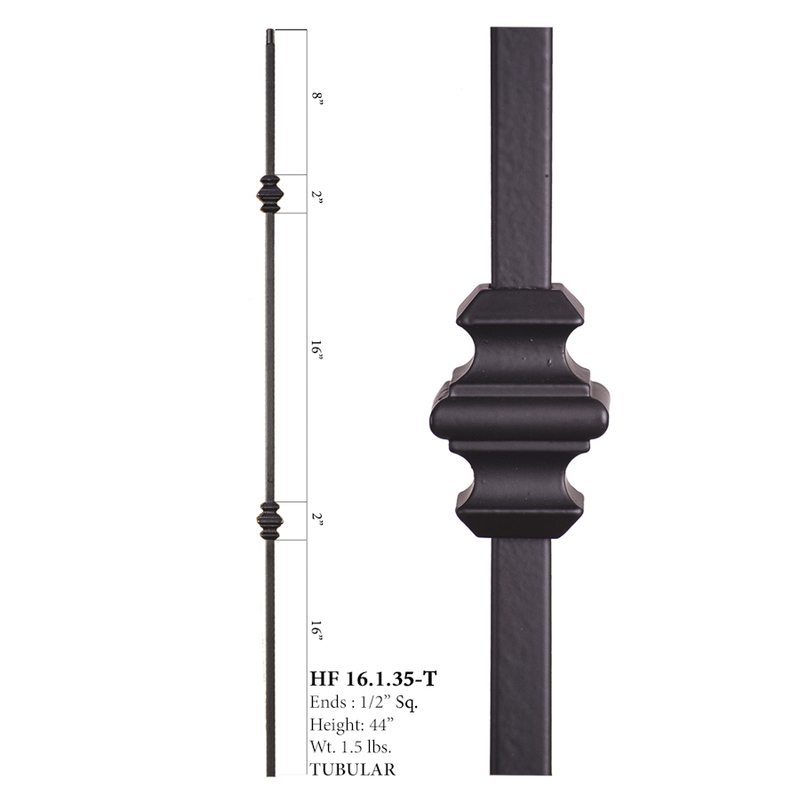 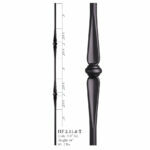 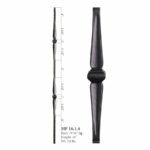 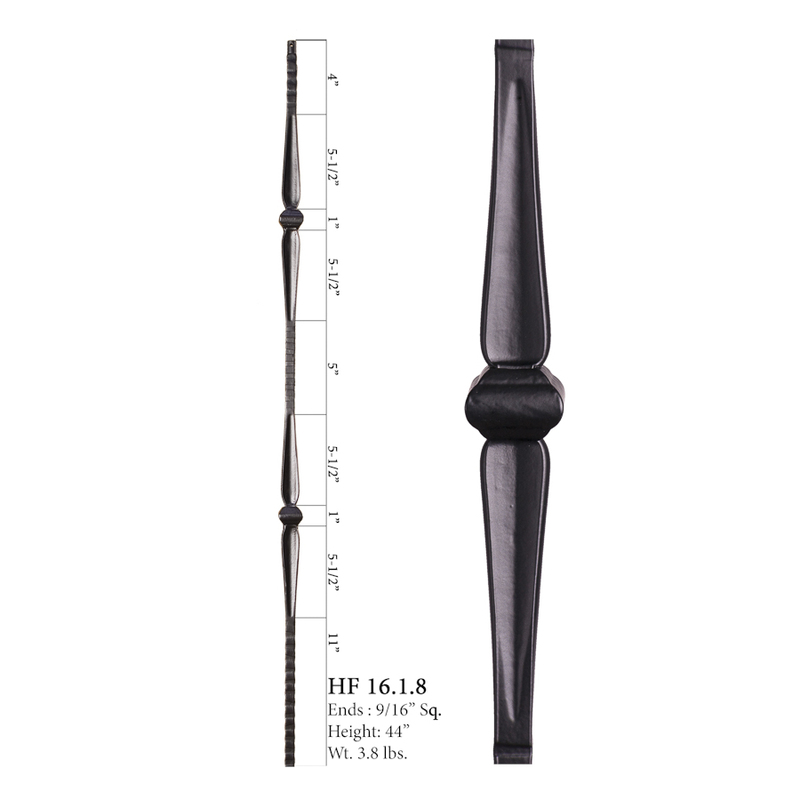 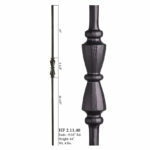 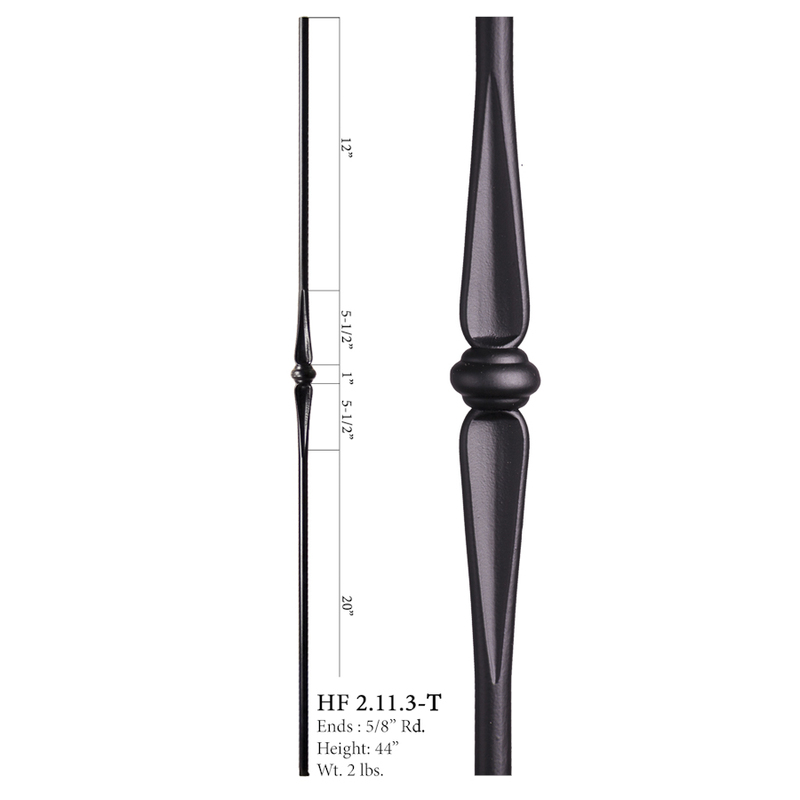 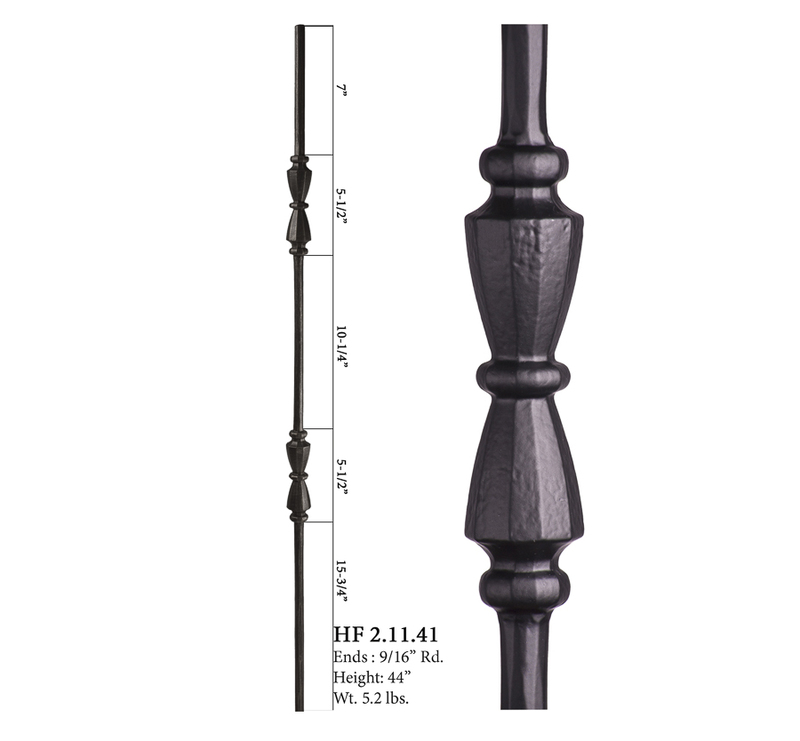 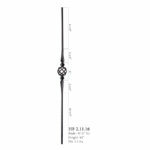 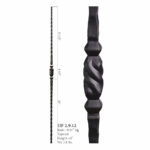 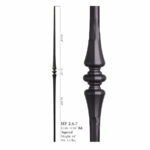 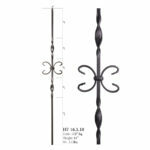 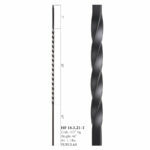 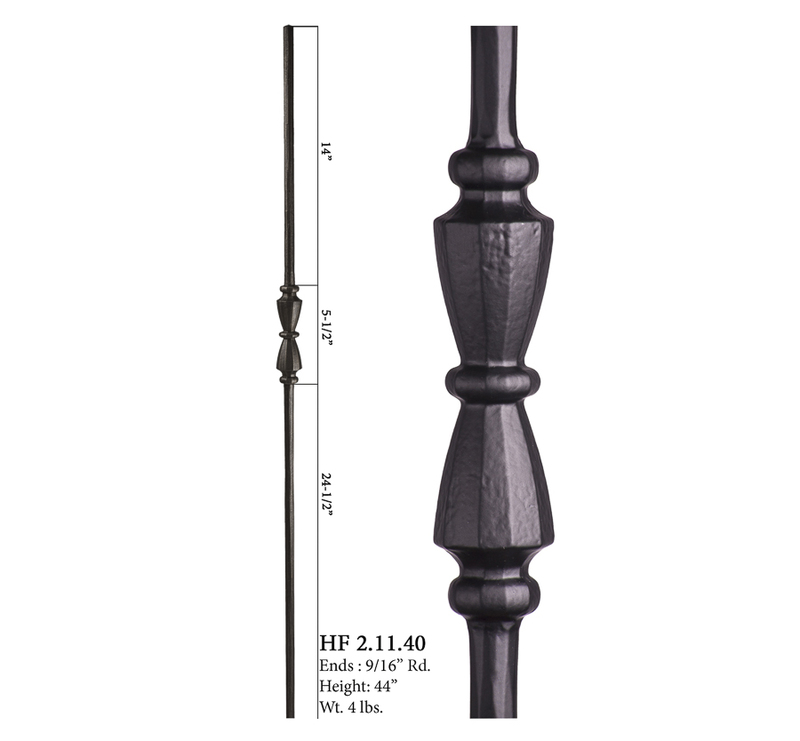 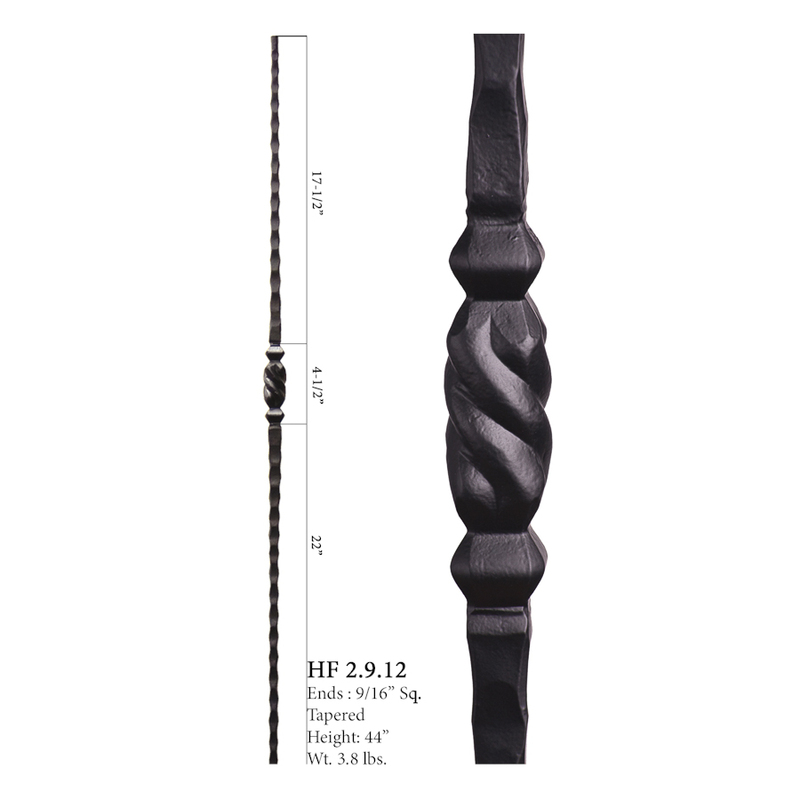 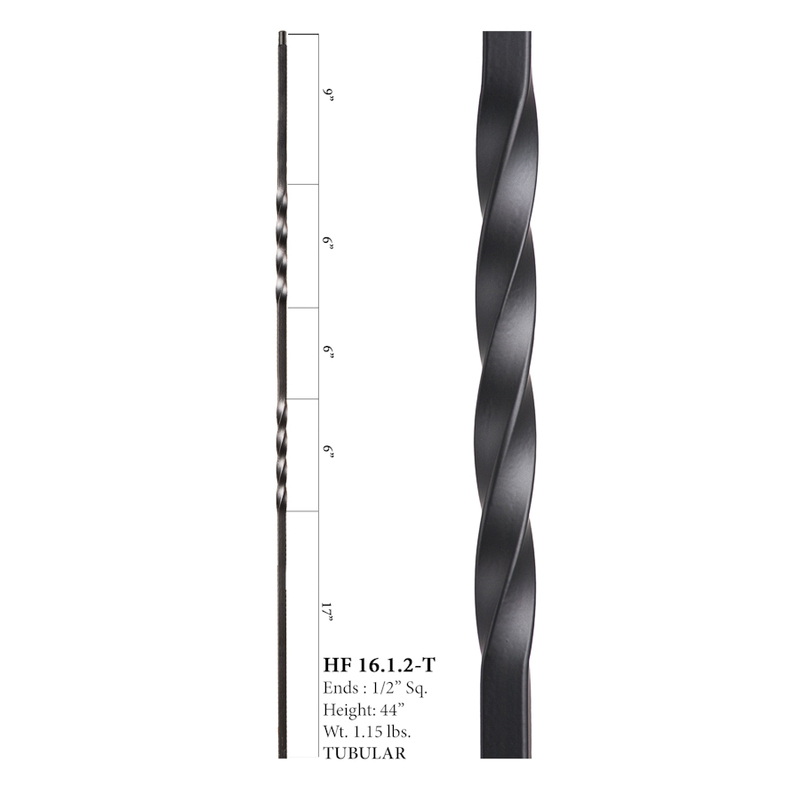 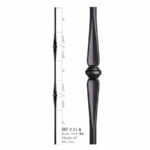 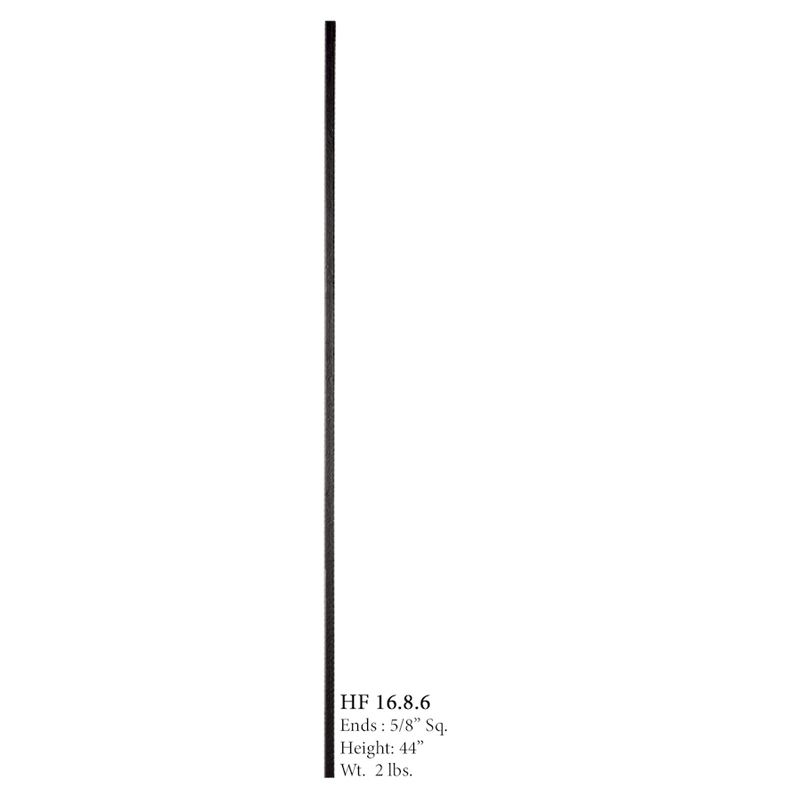 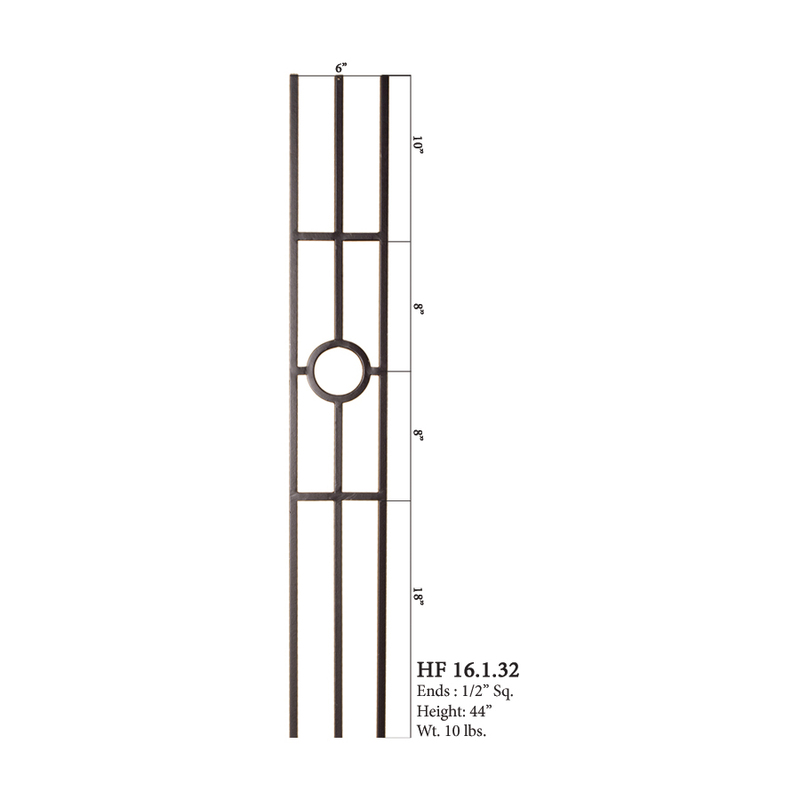 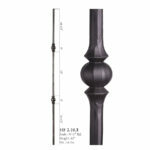 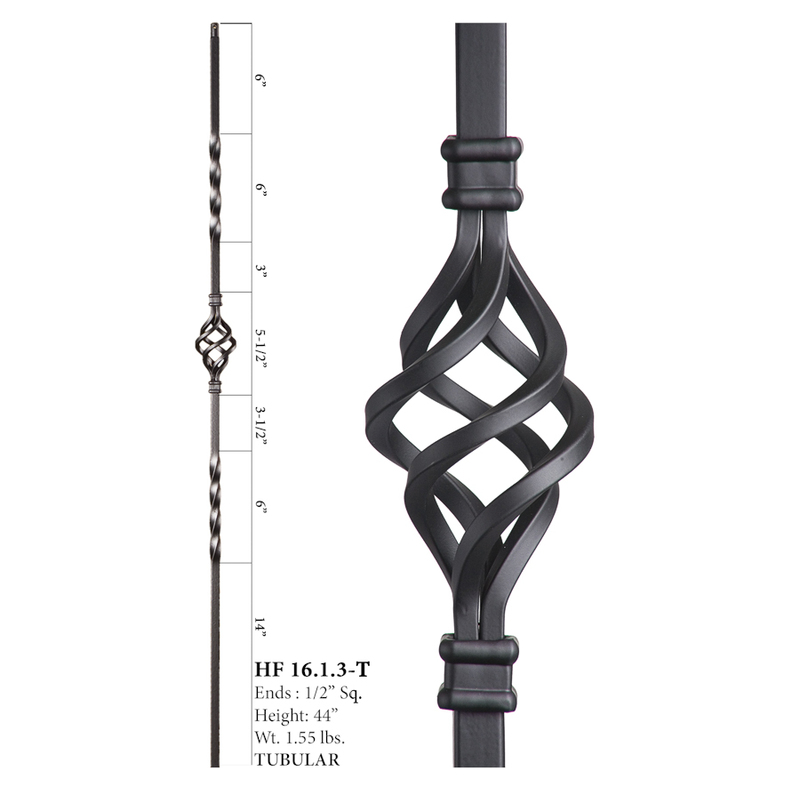 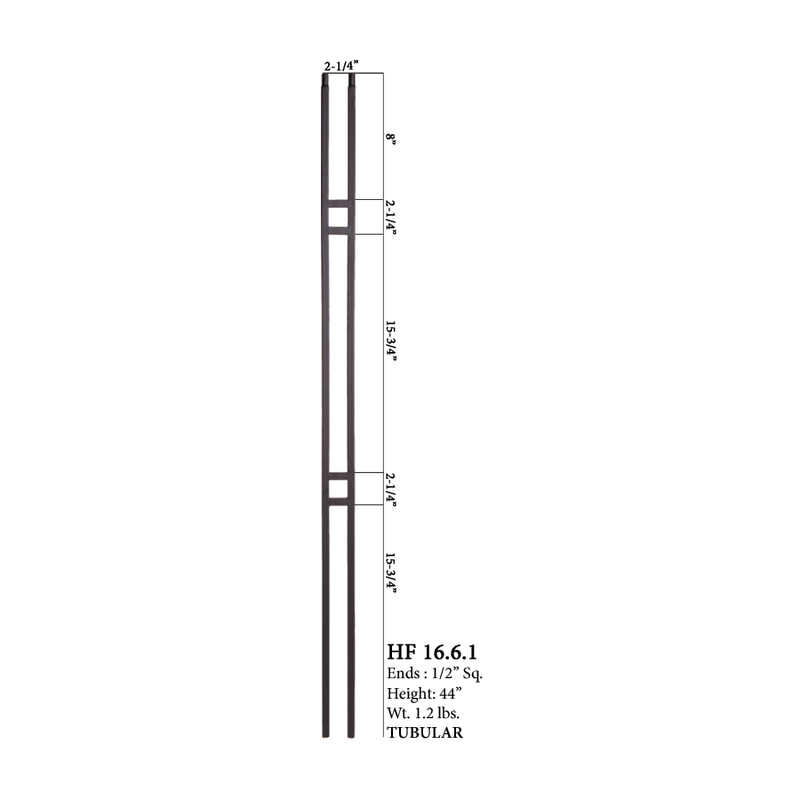 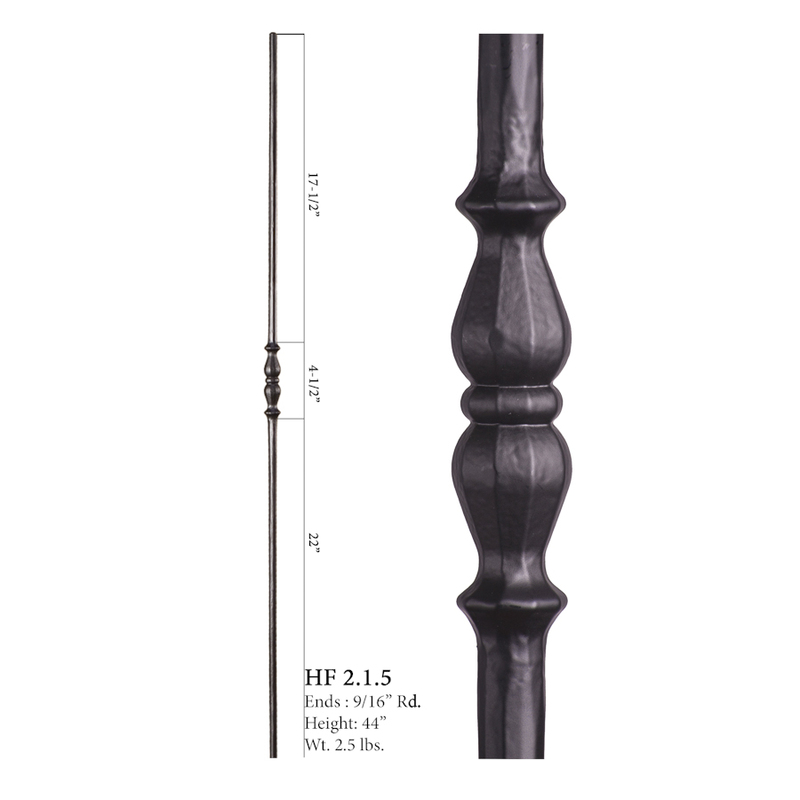 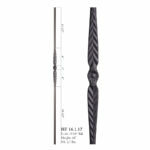 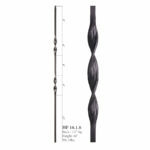 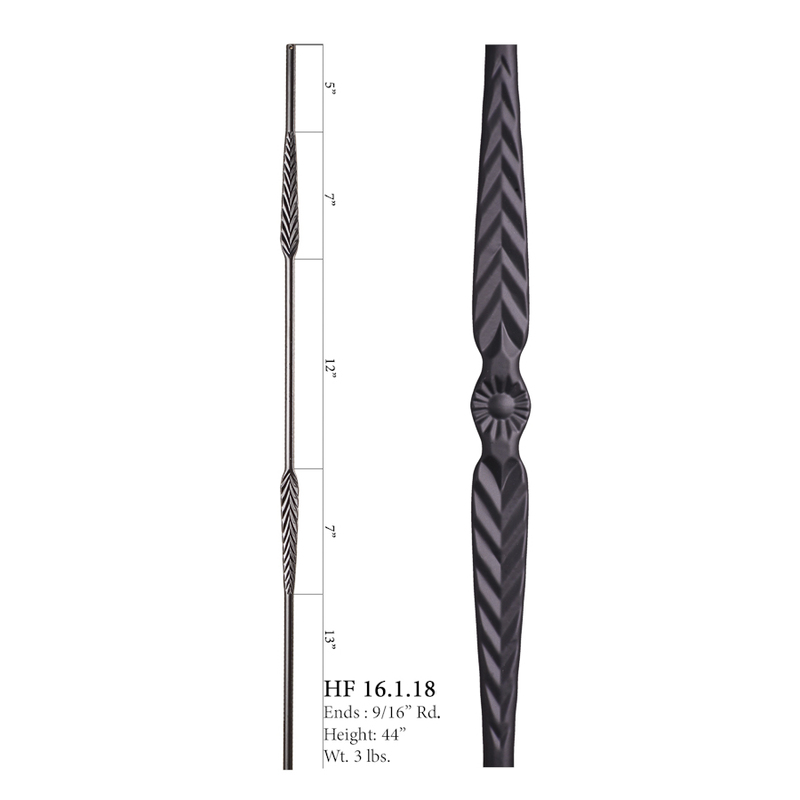 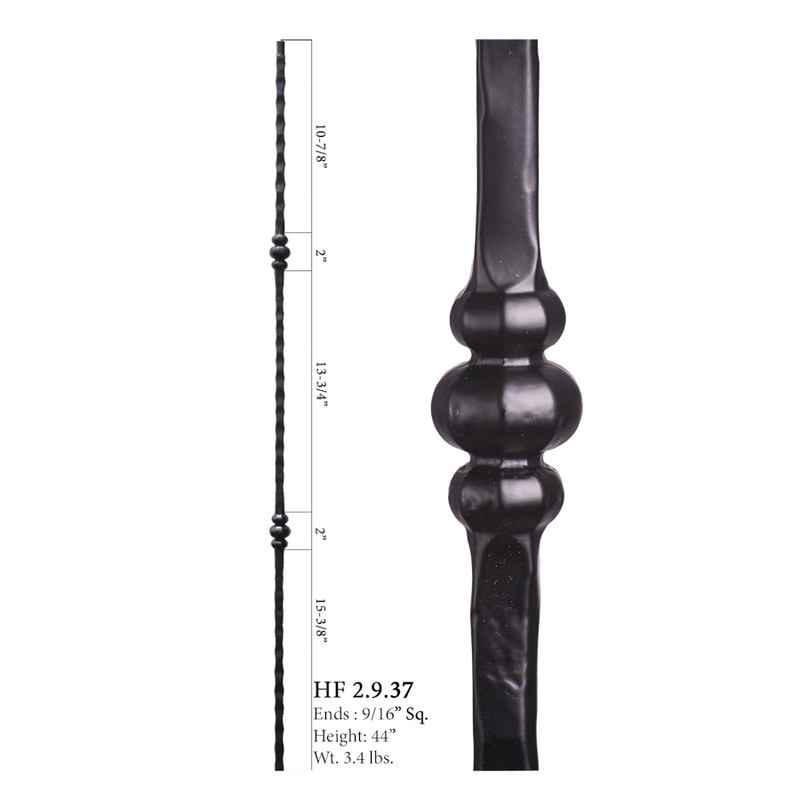 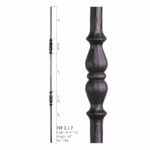 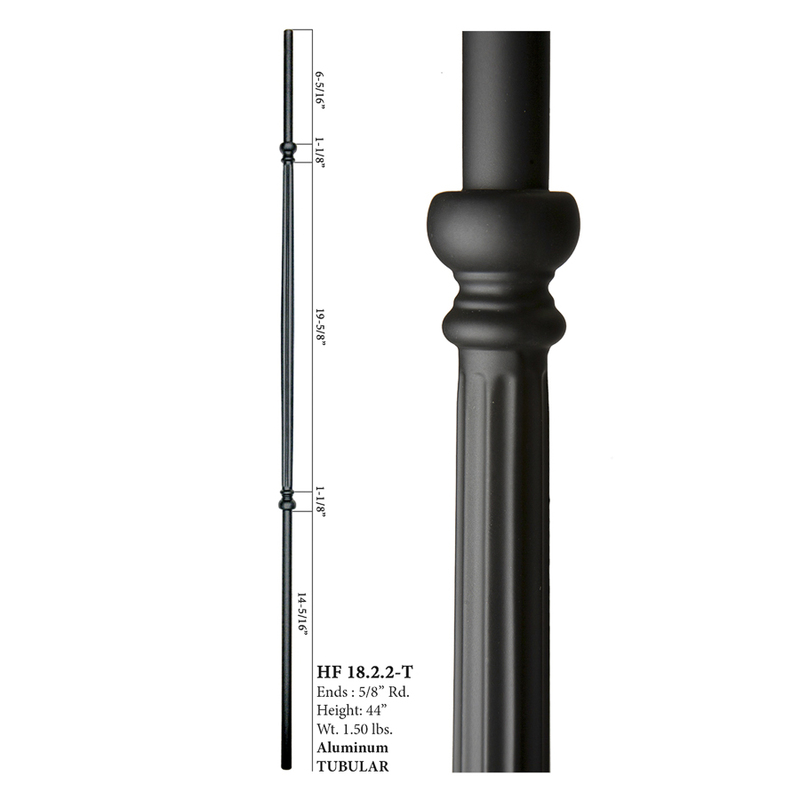 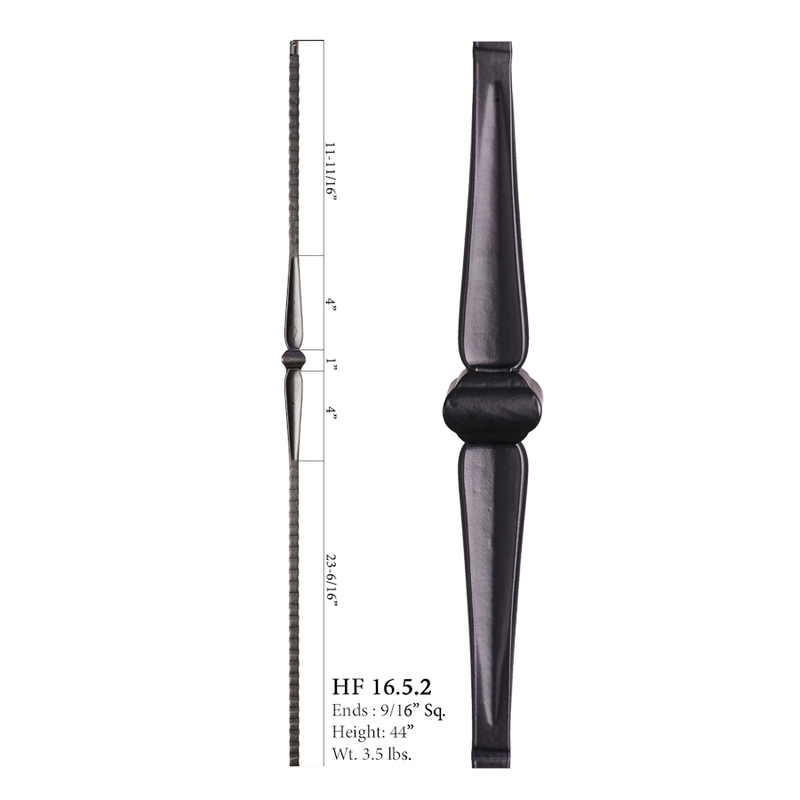 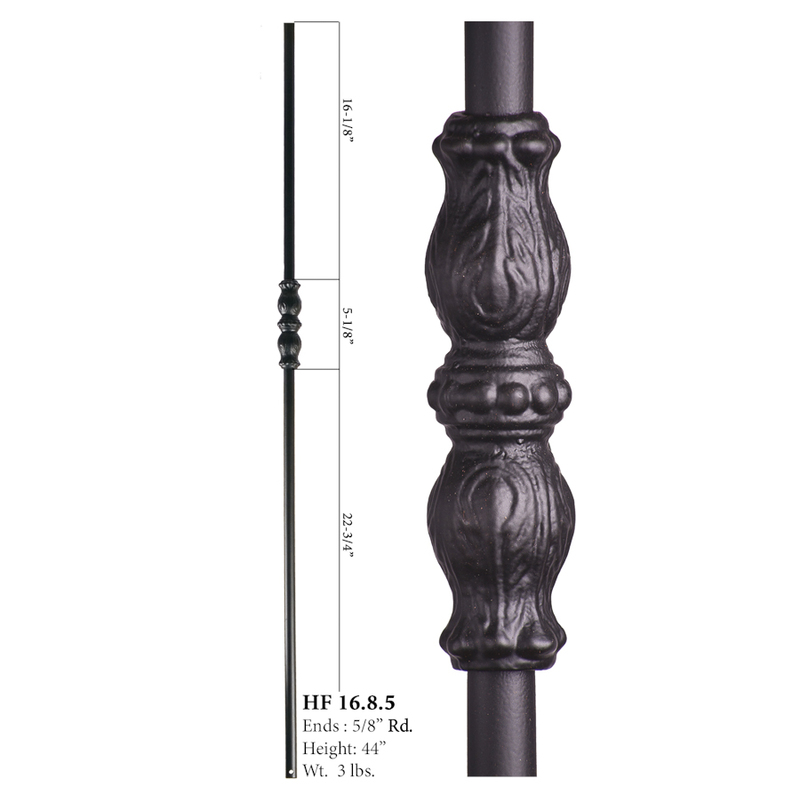 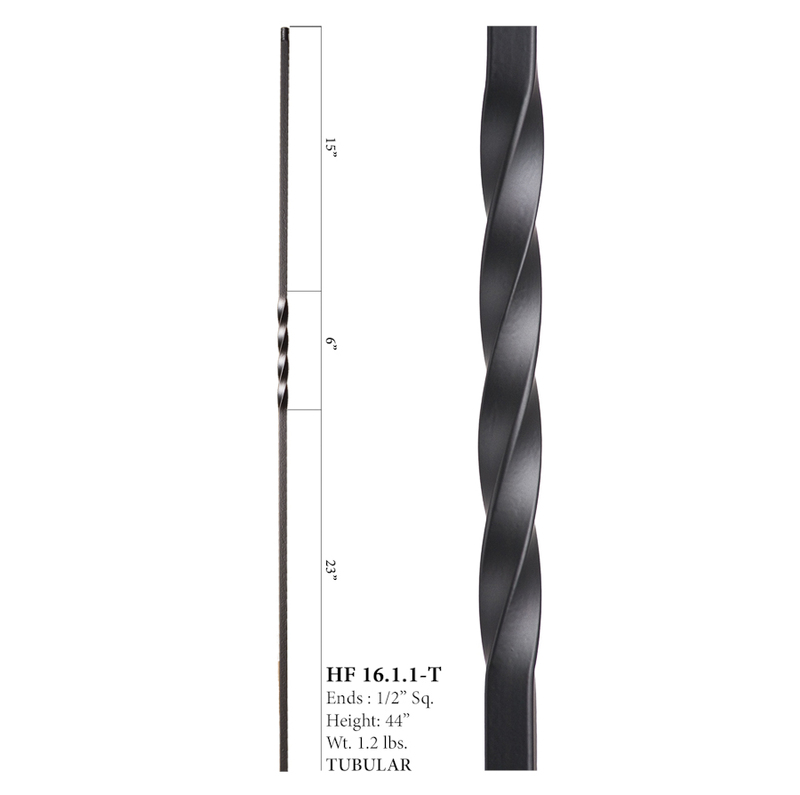 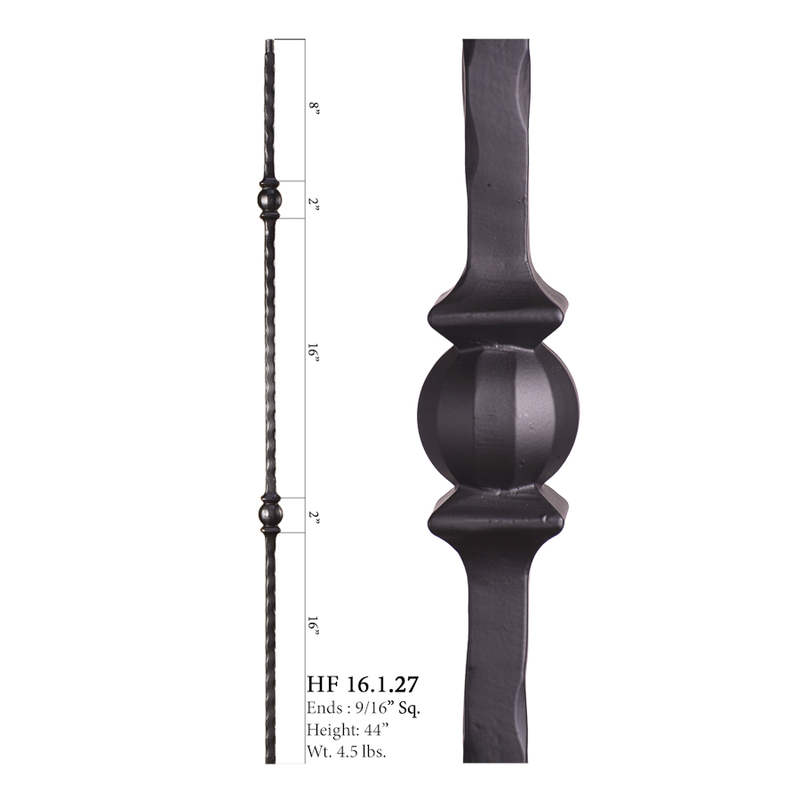 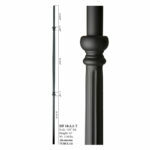 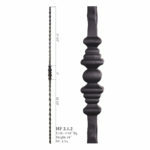 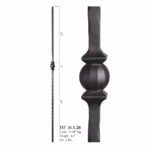 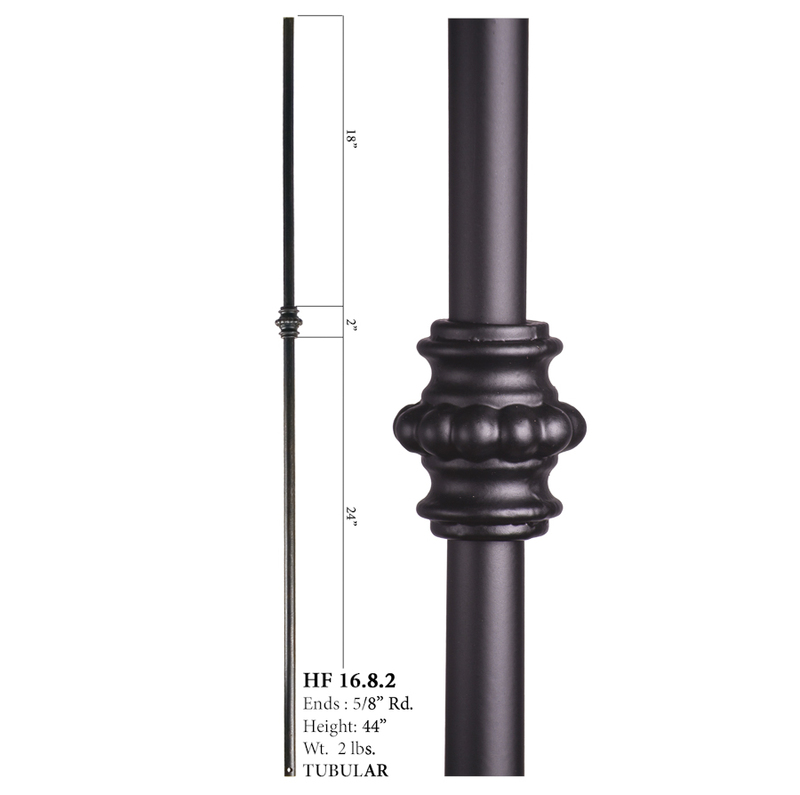 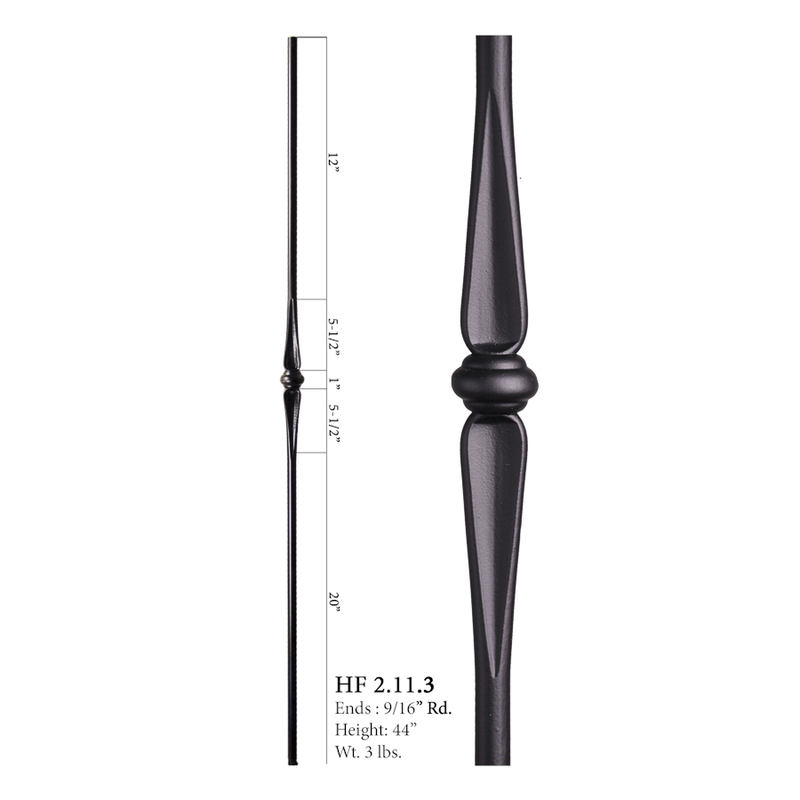 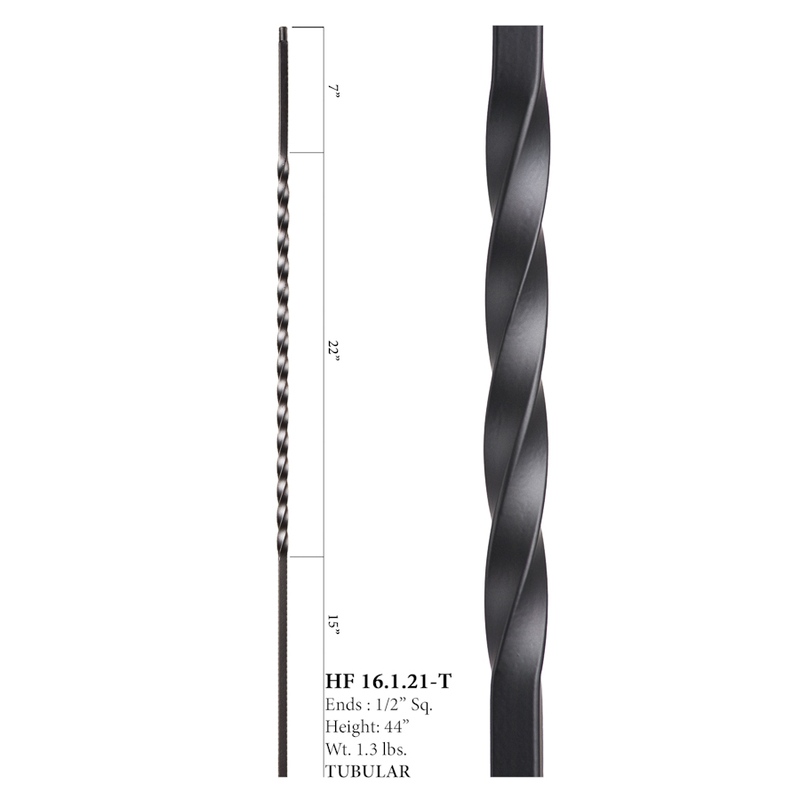 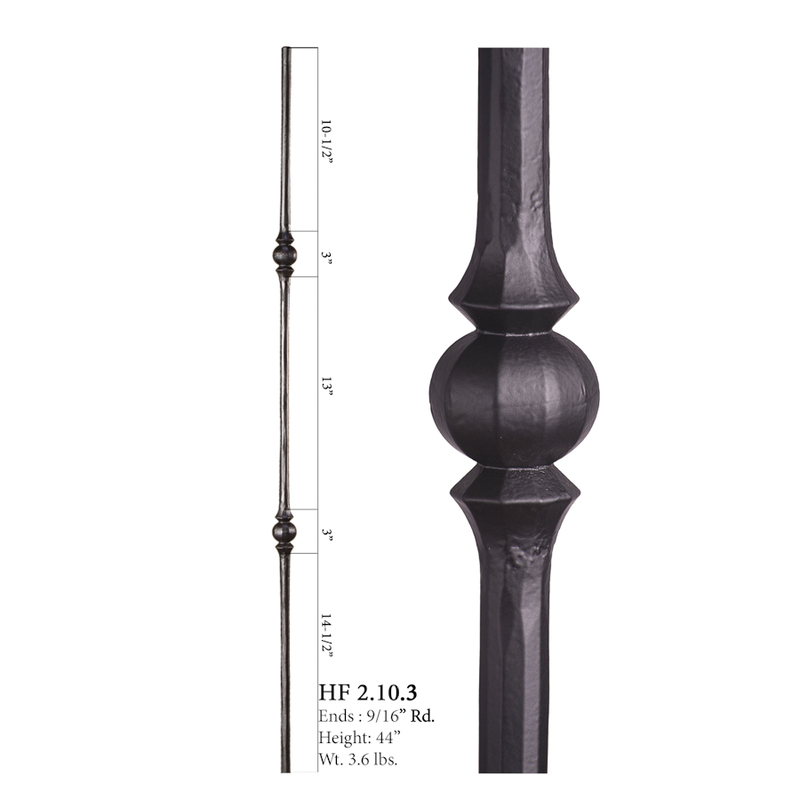 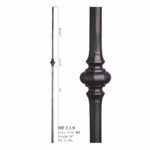 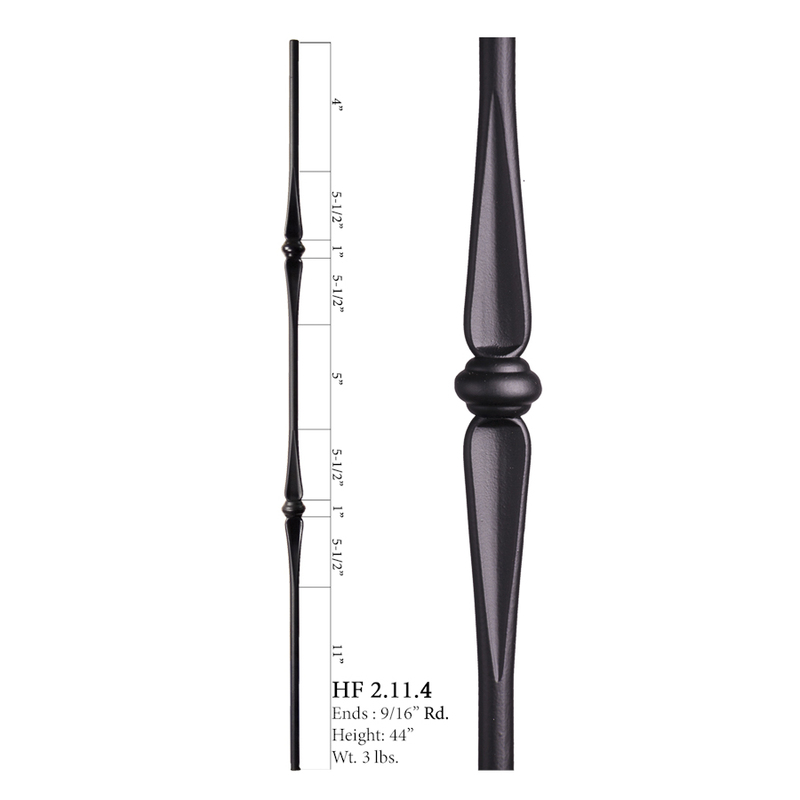 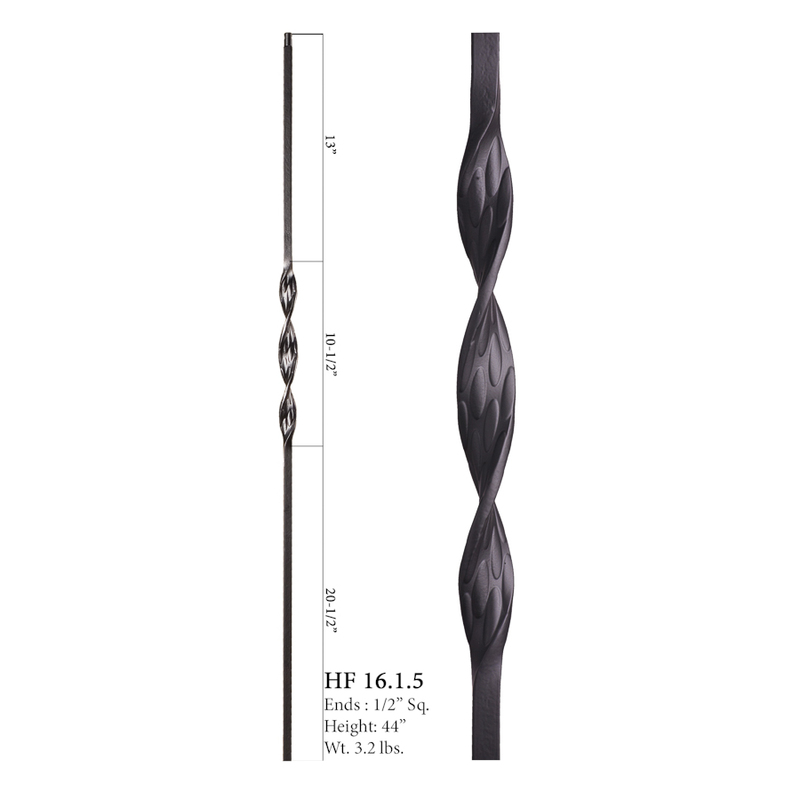 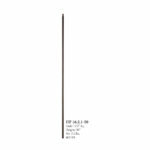 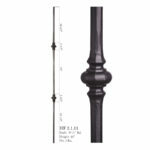 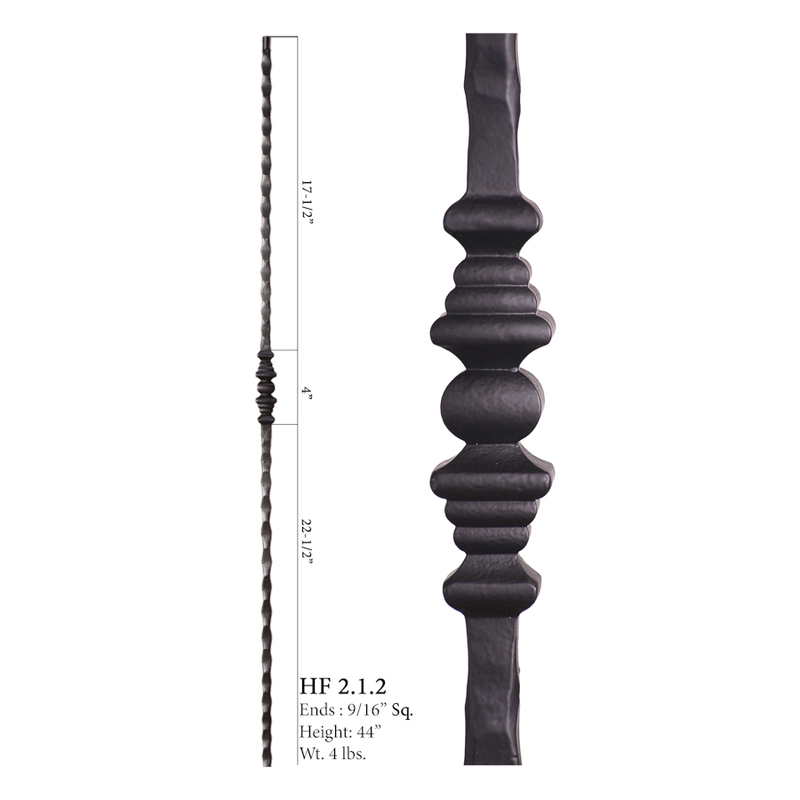 Browse through our various baluster styles below and then call us up for a quote. 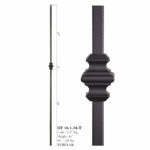 Our Aalto collection is a compliment to the modern design and aesthetic. 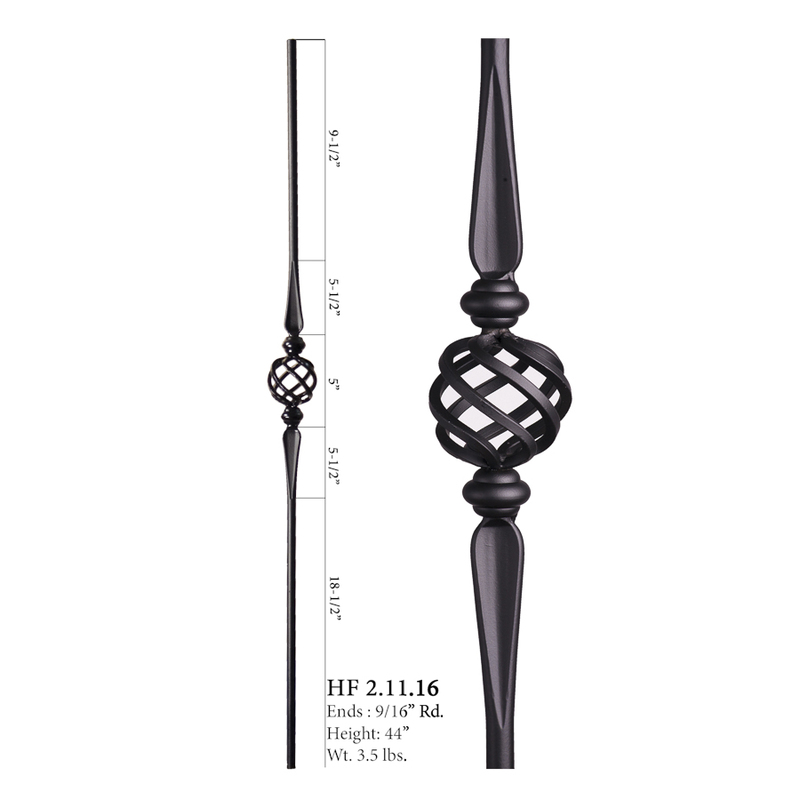 Adorn any space with the clean lines and open detail of these modern balusters and panels. 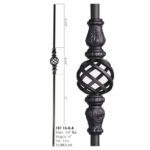 The craftsmanship in these hand-forged balusters exude character and beauty nearly impossible to duplicate. 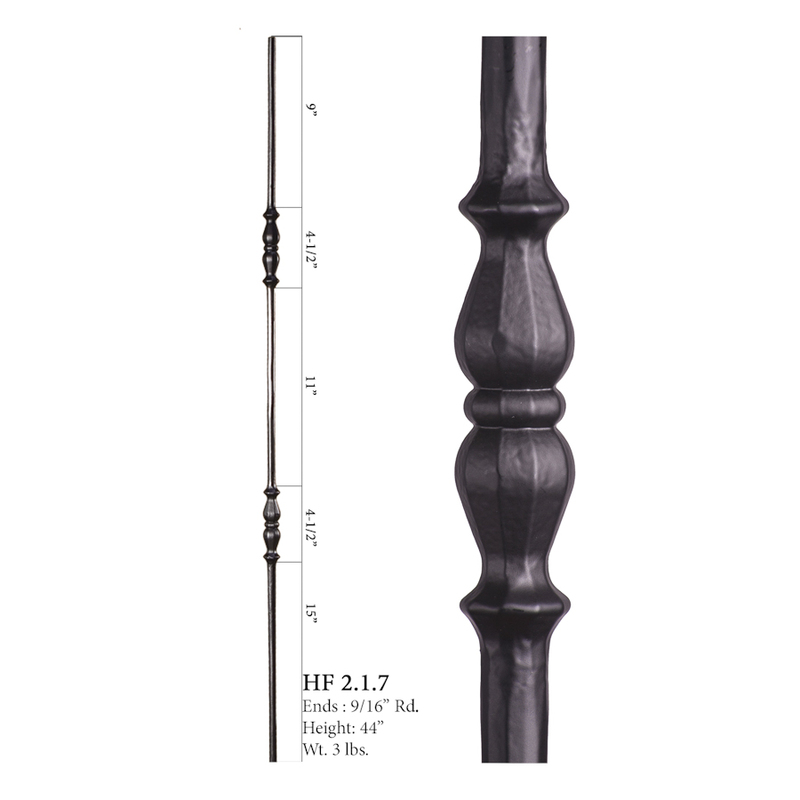 These round balusters are hand hammered and bring the rustic charm of old world Italy into your home. 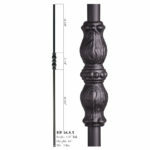 The craftsmanship in these hand-forged balusters exude character and beauty nearly impossible to duplicate. 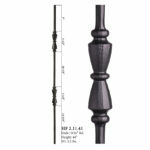 These square balusters are hand hammered and bring the rustic charm of old world Italy into your home. 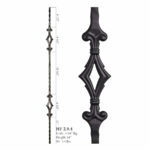 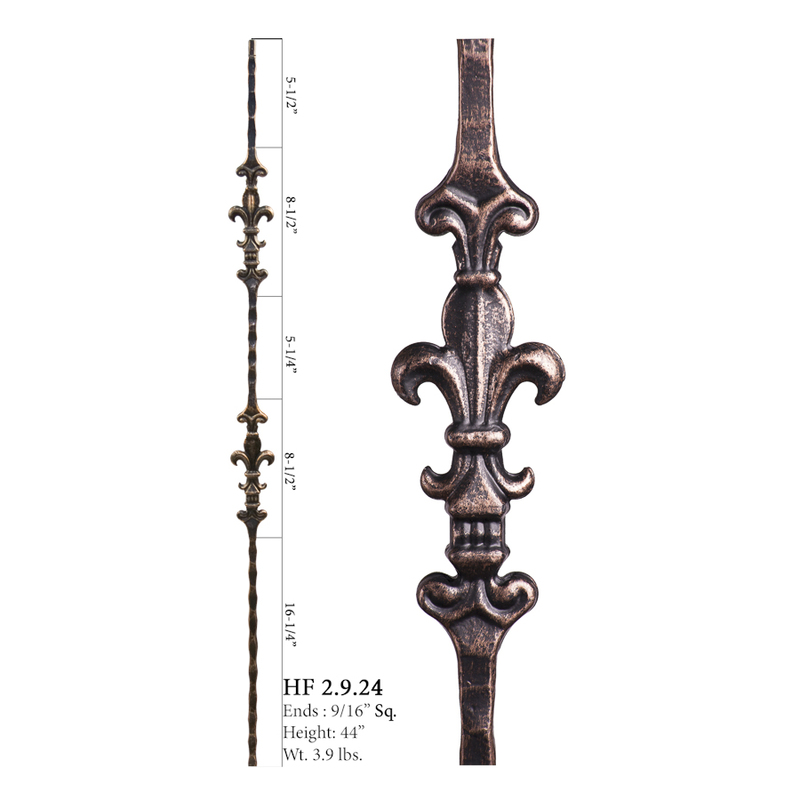 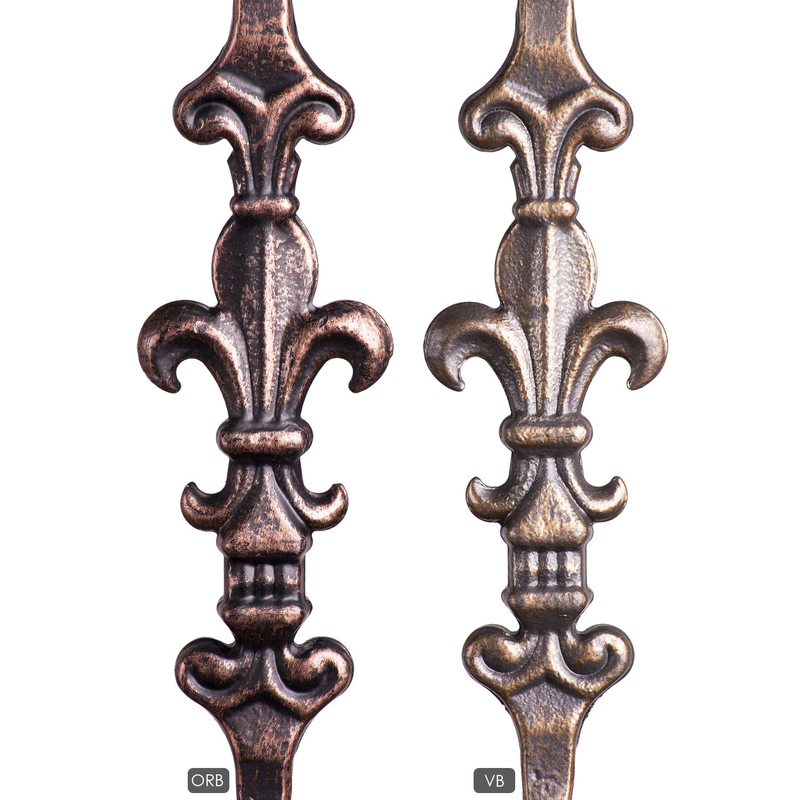 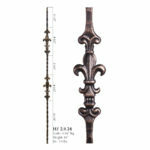 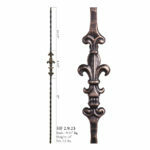 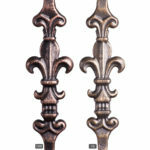 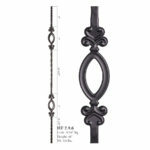 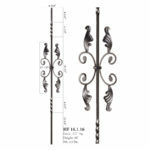 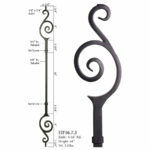 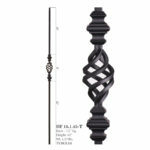 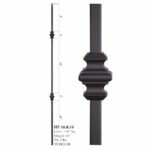 New Orleans Series balusters feature a tuscan square hand hammering and the Fleur De Lis ornament. 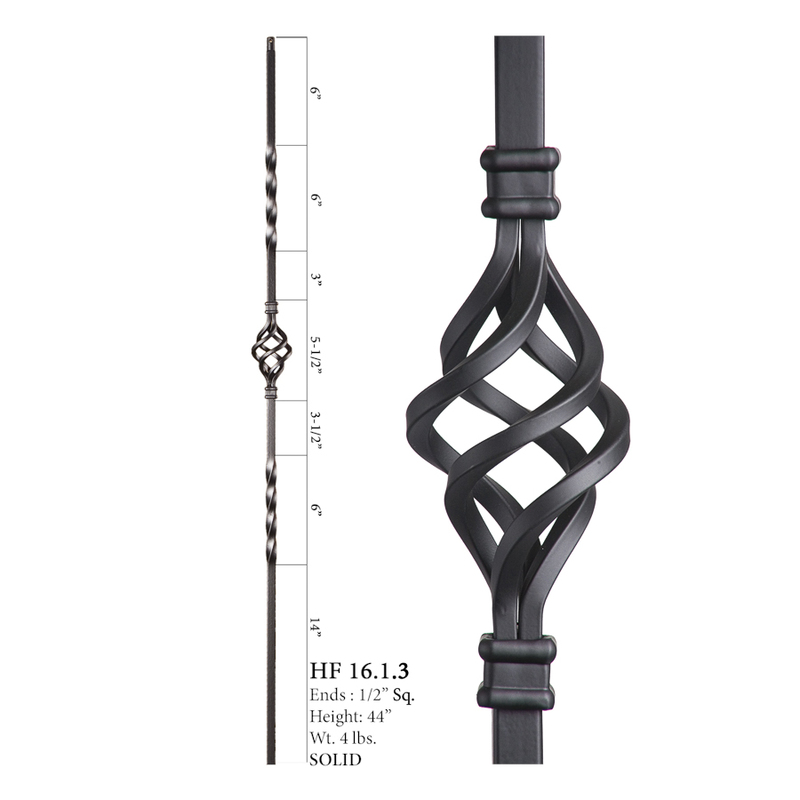 Drawing inspiration from the great Roman columns, the Monte Carlo series stands alone in style and elegance. The Endecor balustrade system has been featured by some of the top home builders in the nation. 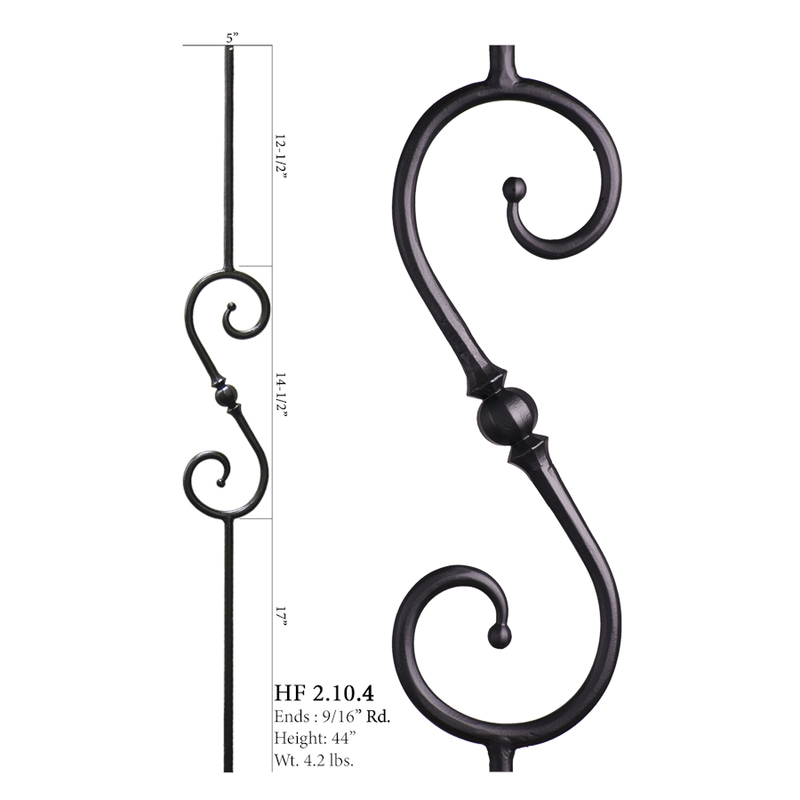 The designer series offers an upgraded look at an affordable price for homebuilders and homeowners alike. 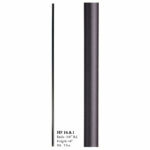 Available in both round and square tubular. 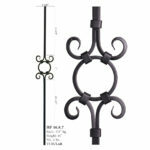 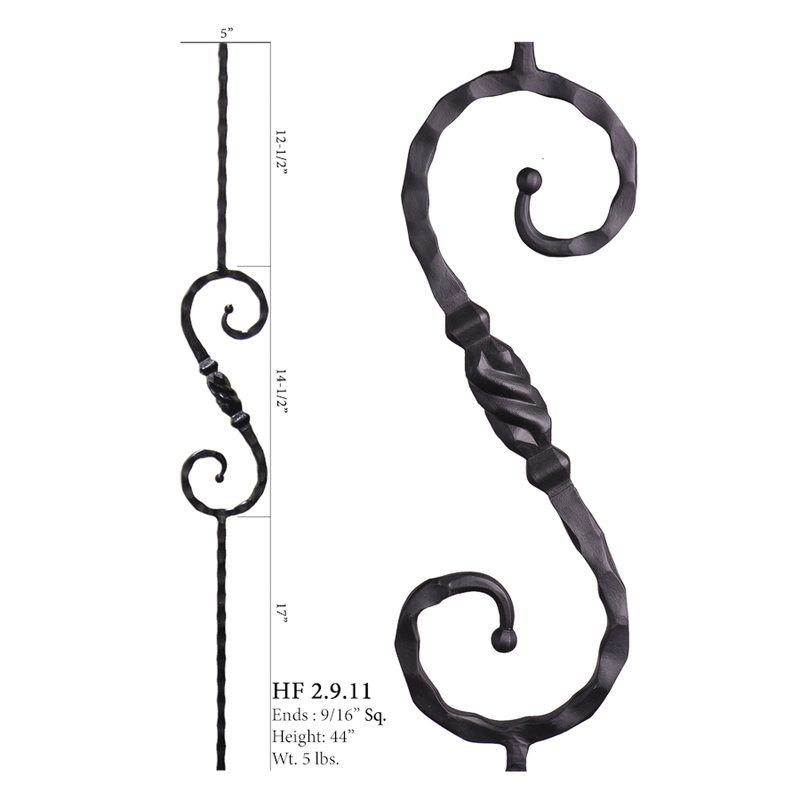 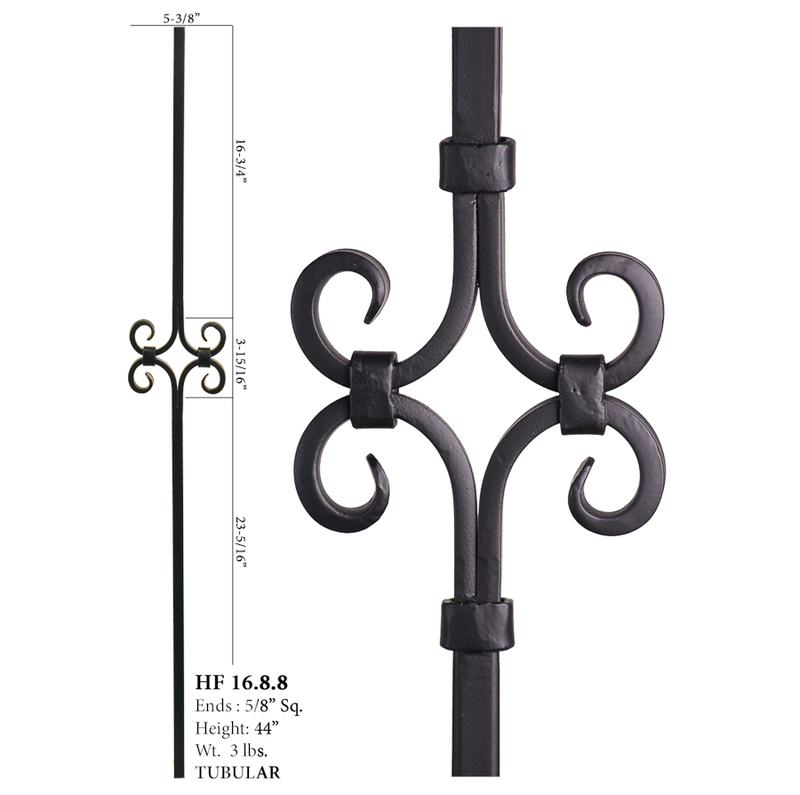 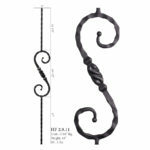 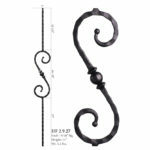 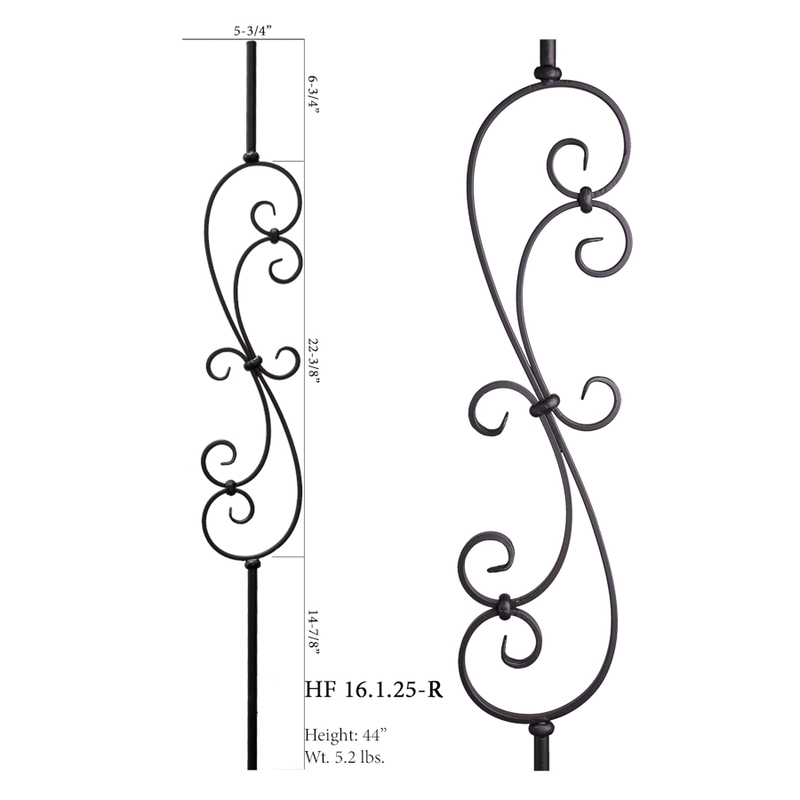 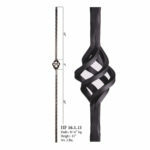 The inspiration for our Gothic series was the timeless ironwork featured in many European castles and estates. 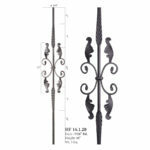 The style of this collection provides a sleek appearance that strikes perfect balance between traditional and contemporary. The endless baluster combinations in this series offers a match for your individual taste and style. 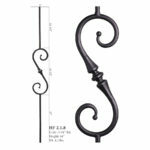 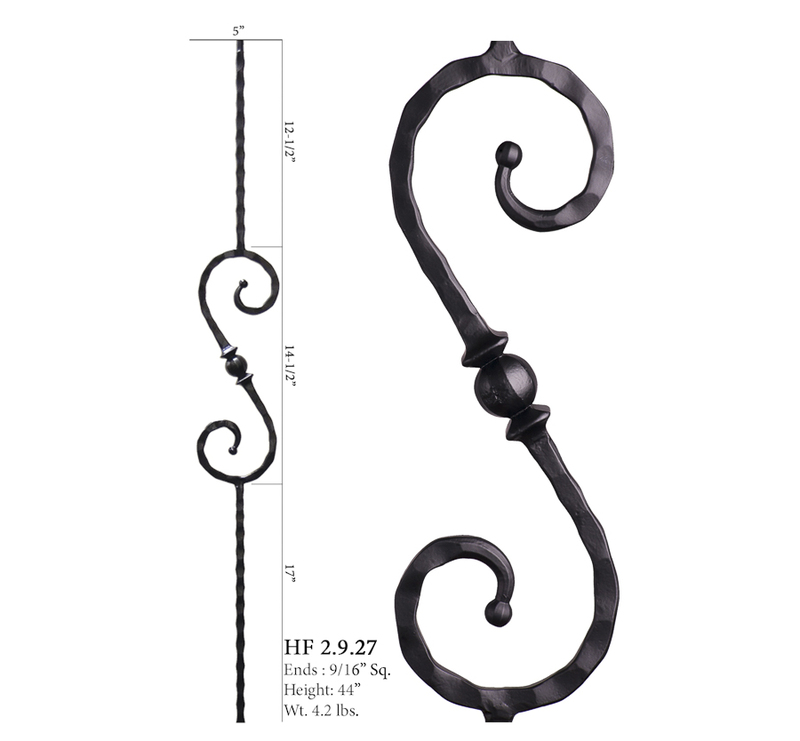 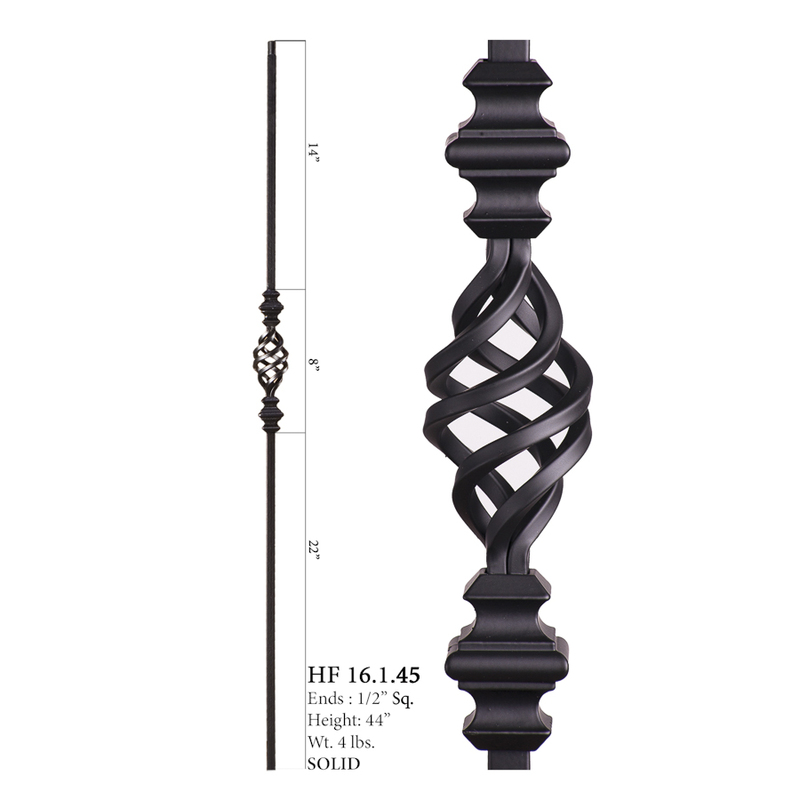 The ribbon style twist in this series pairs nicely with balusters from the Scroll and Versatile series. 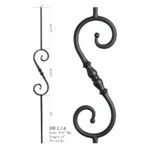 This popular twist and basket design is a mainstay featured in many new homes. 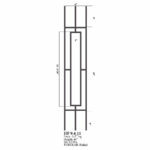 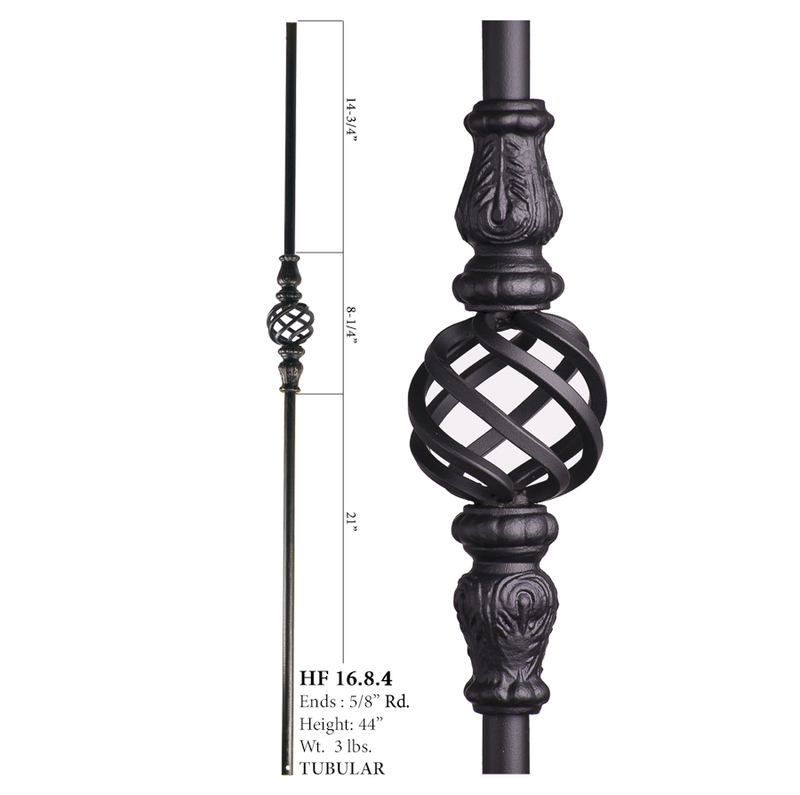 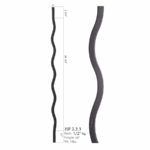 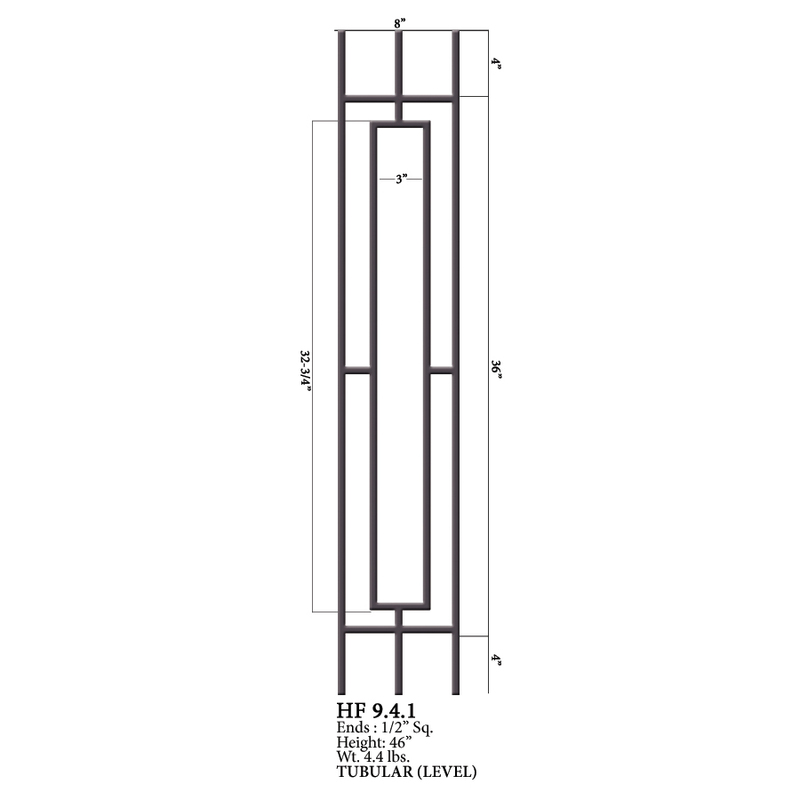 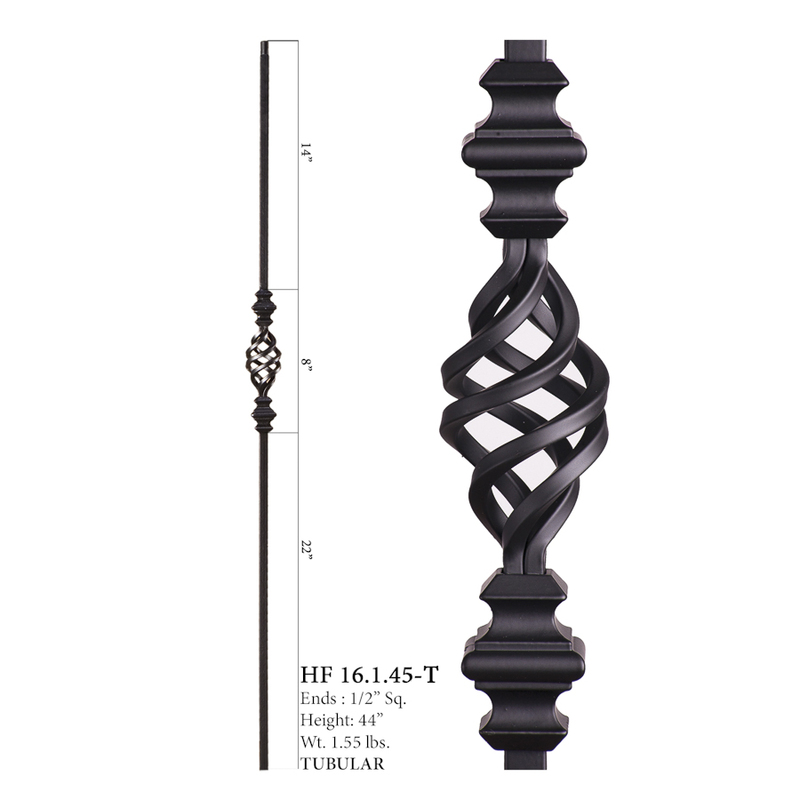 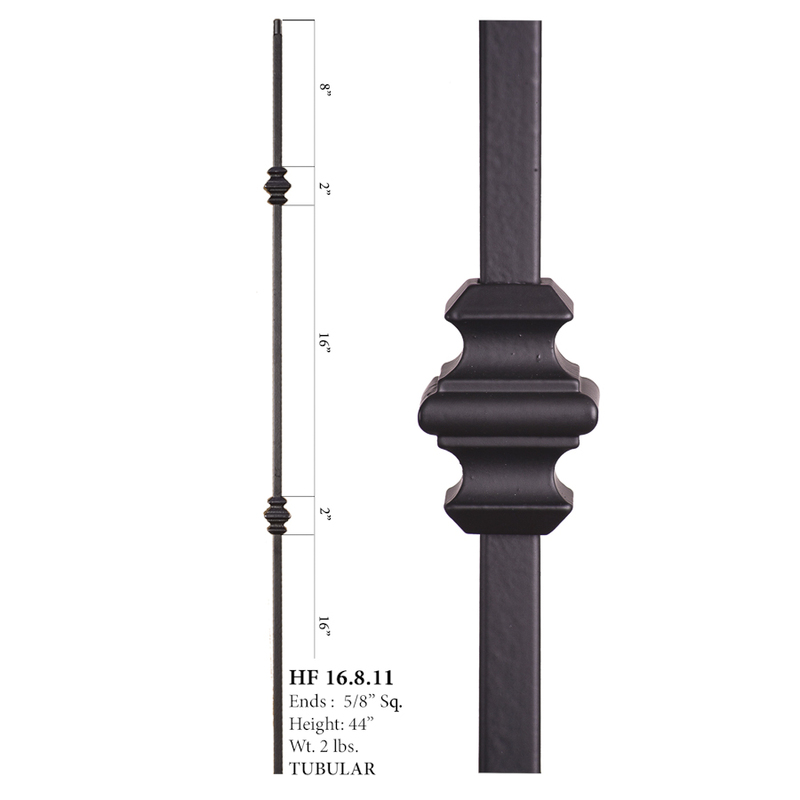 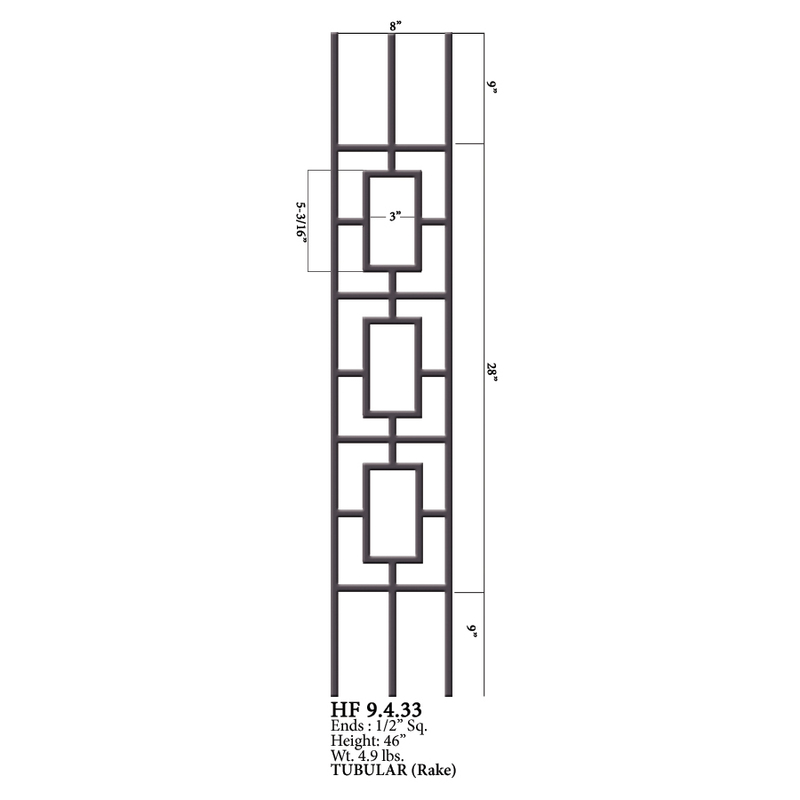 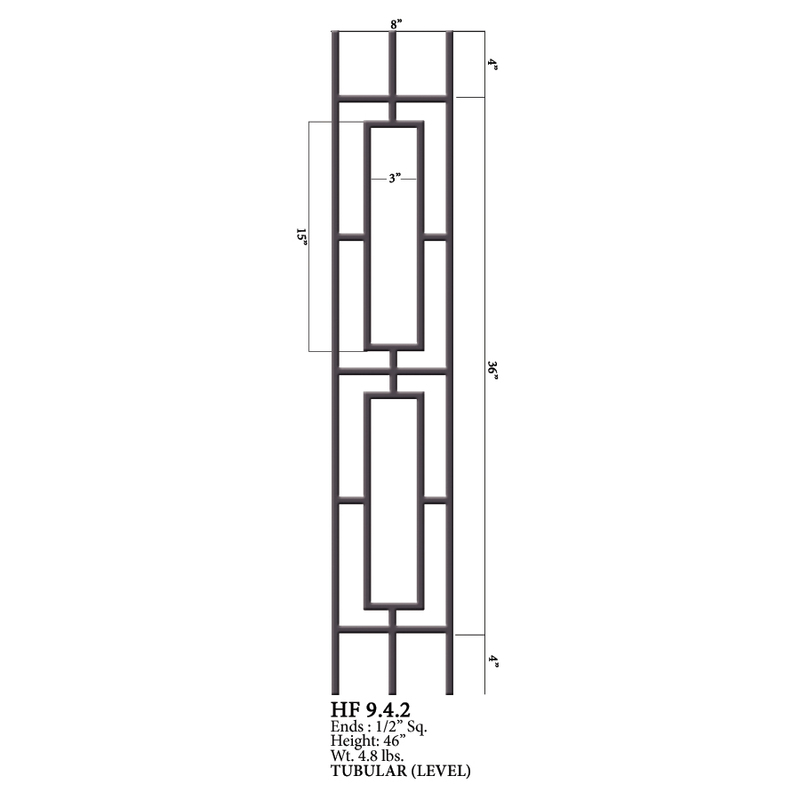 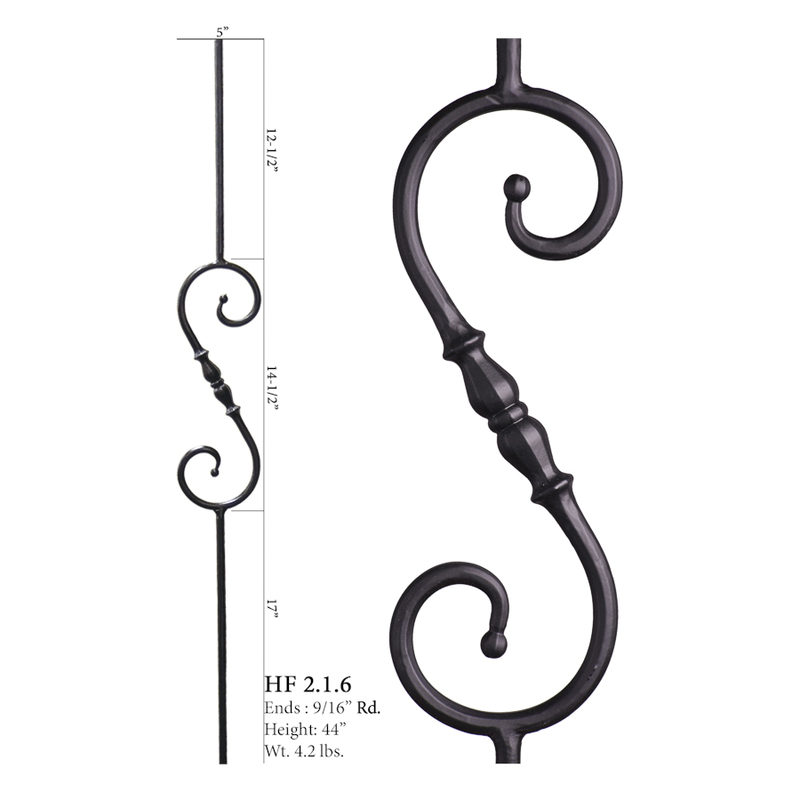 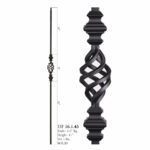 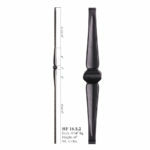 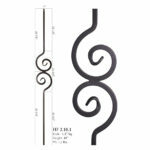 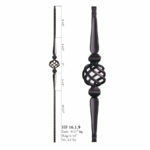 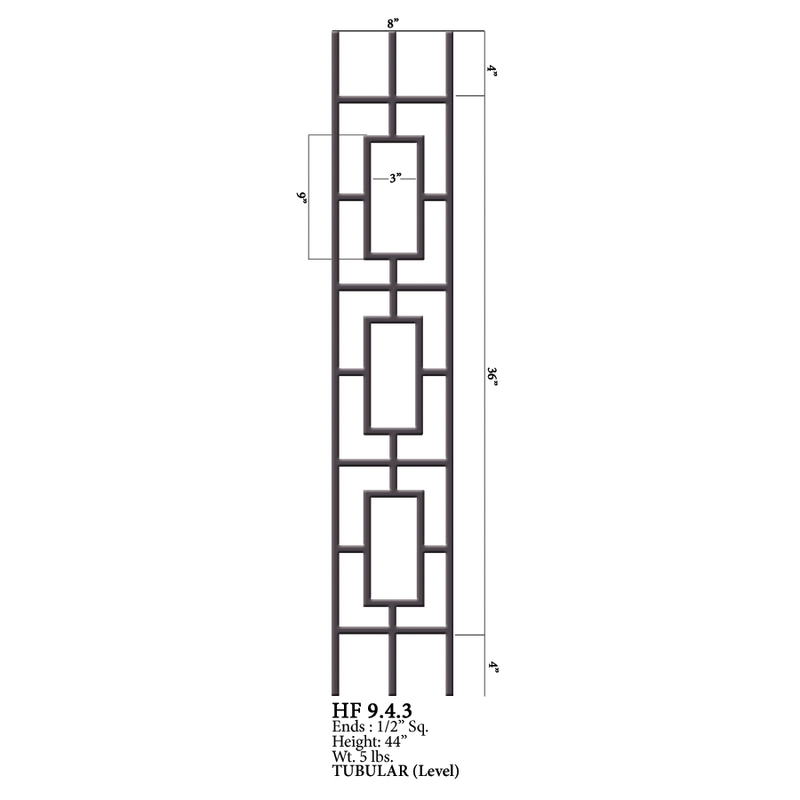 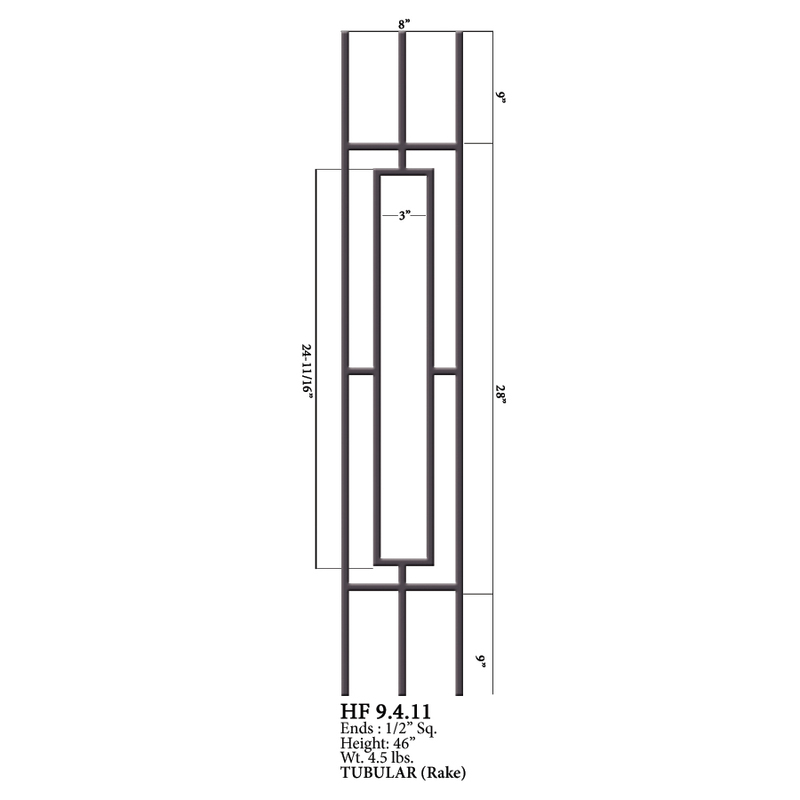 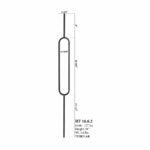 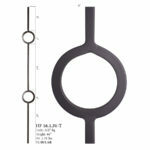 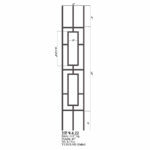 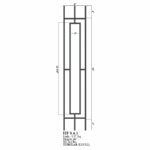 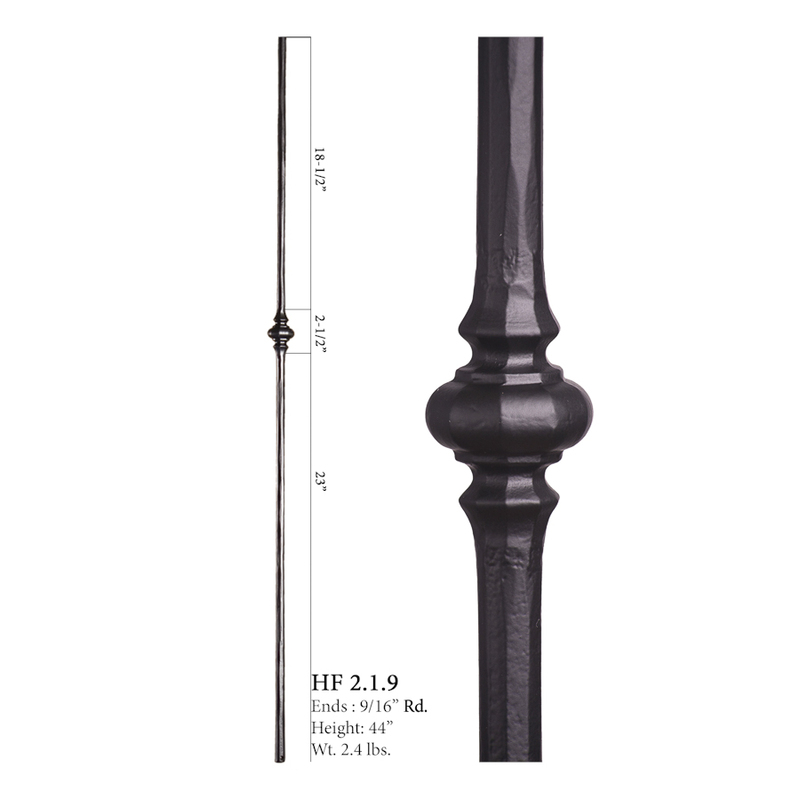 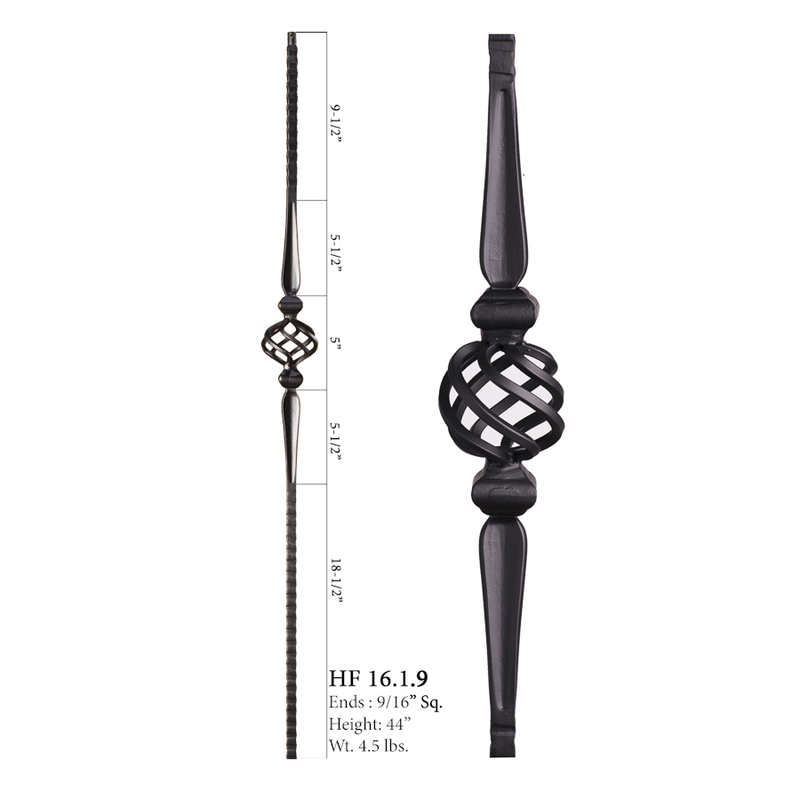 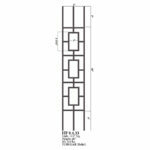 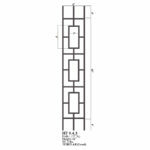 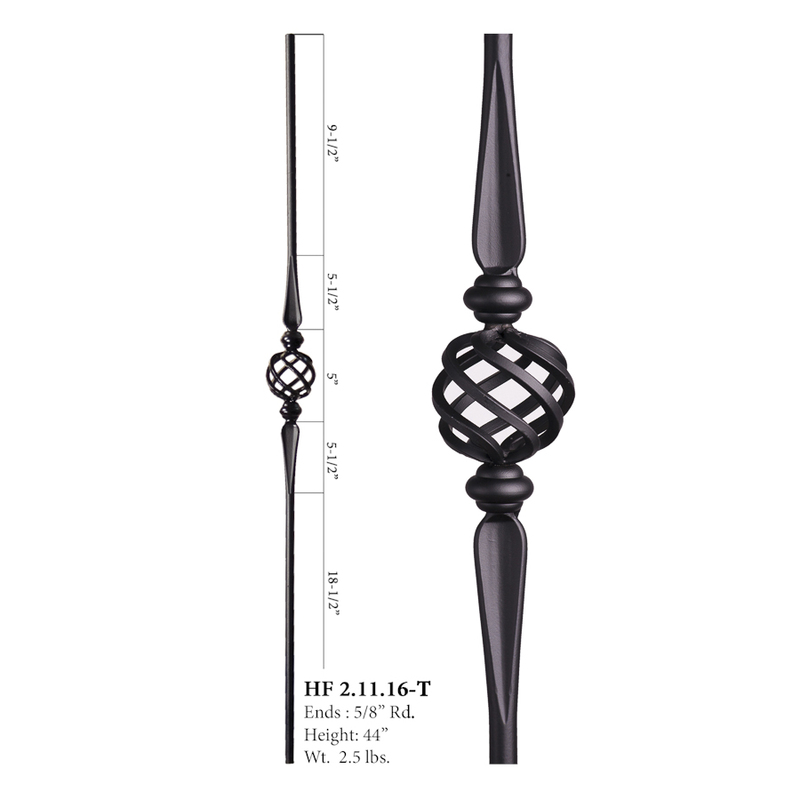 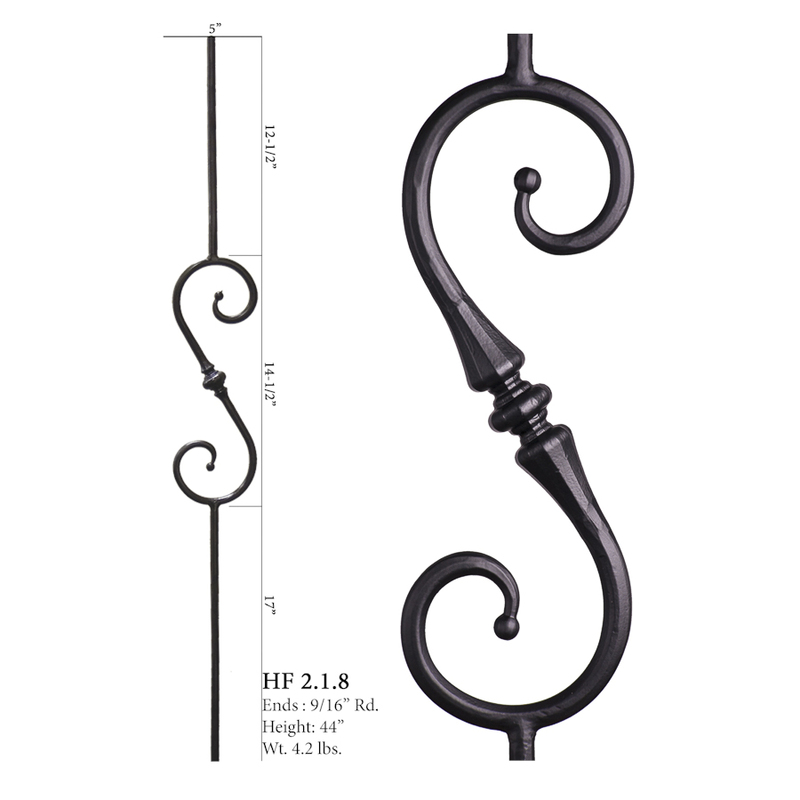 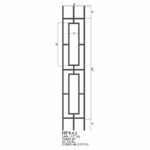 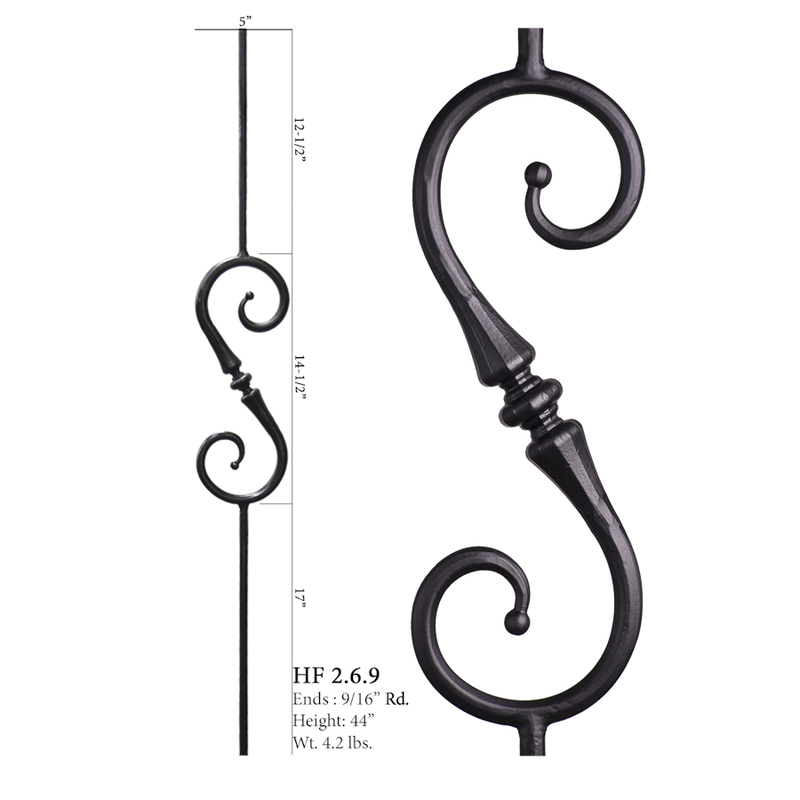 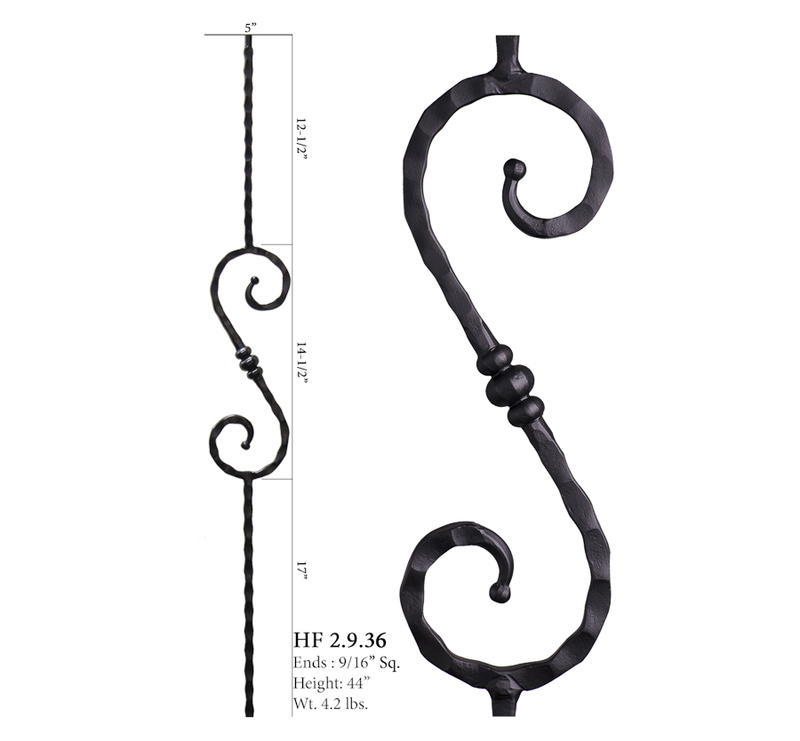 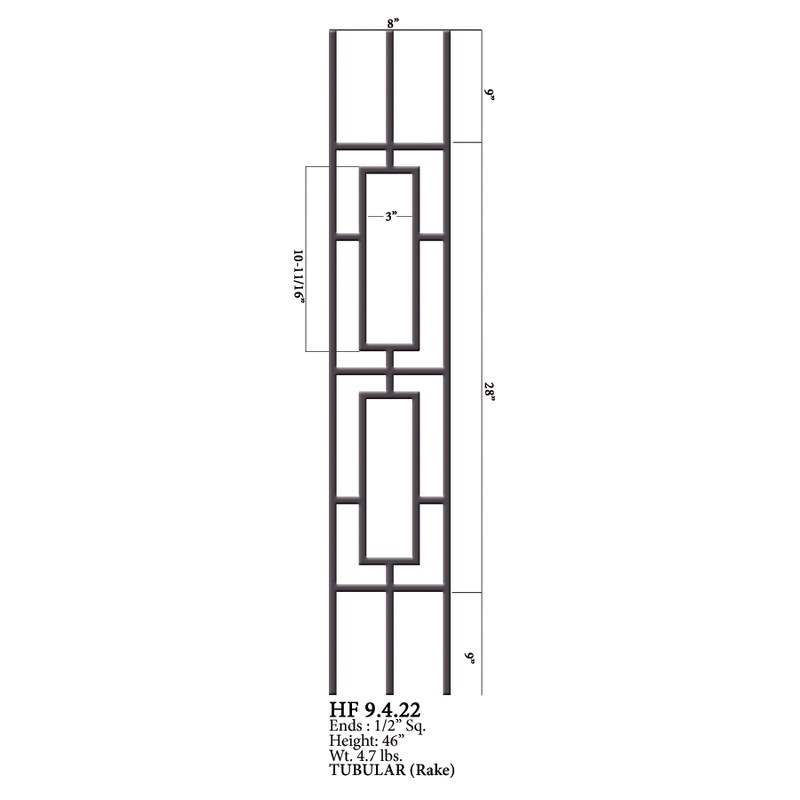 Scrolls can be paired with most 1/2″ and 9/16″ Square and Round series balusters.